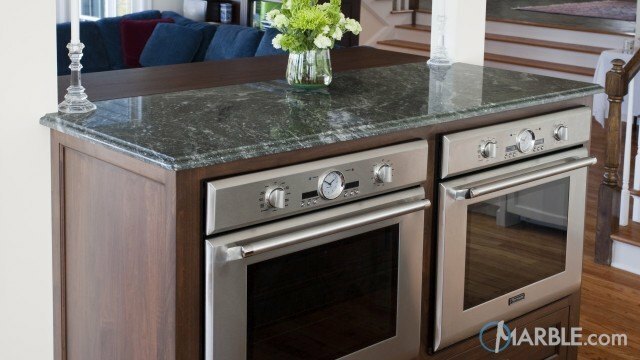 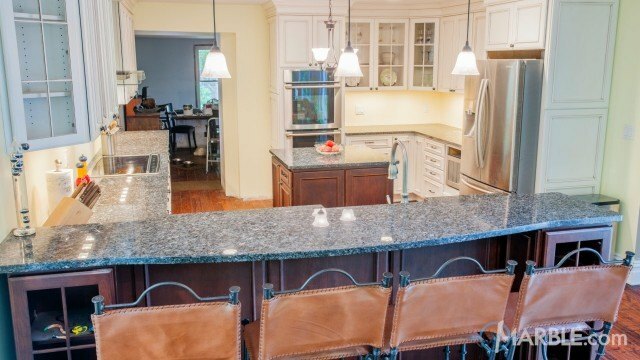 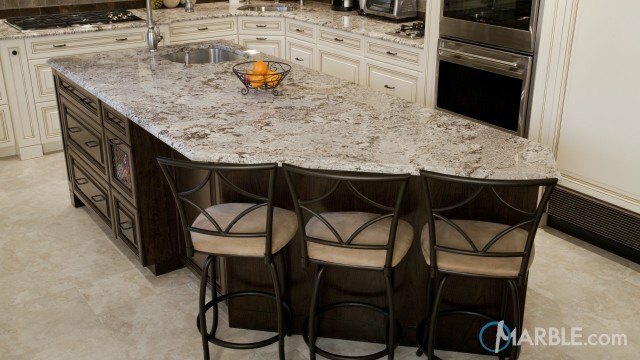 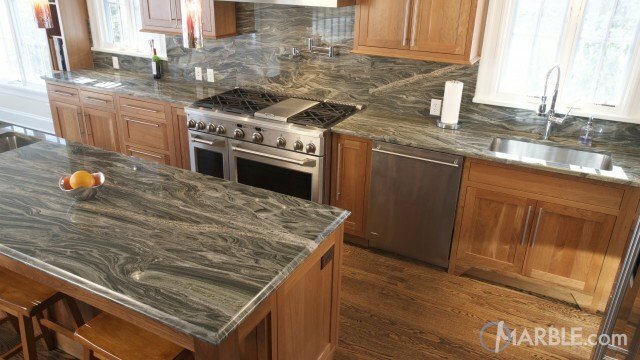 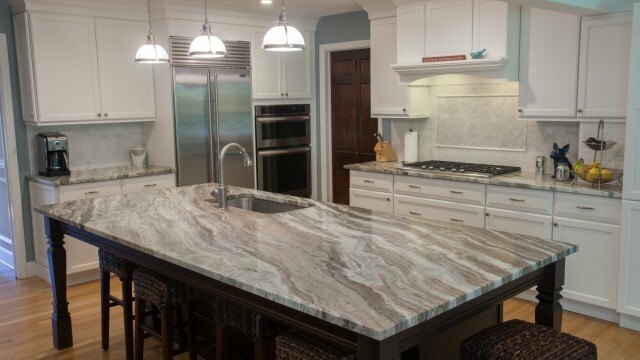 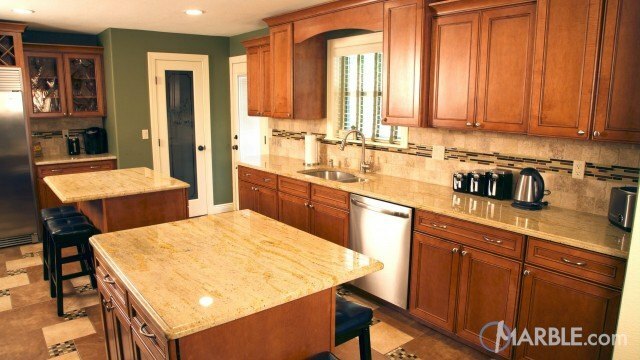 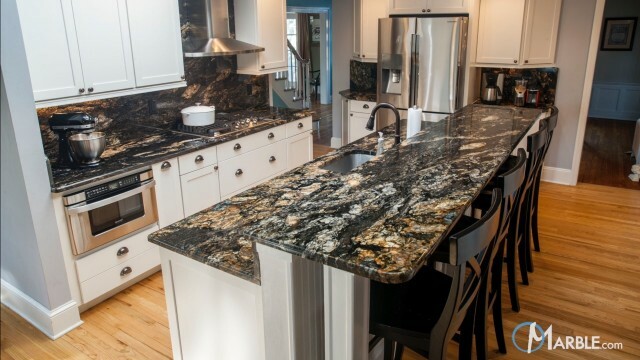 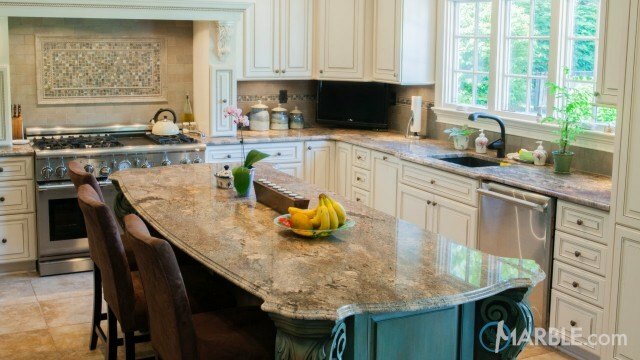 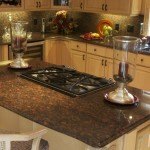 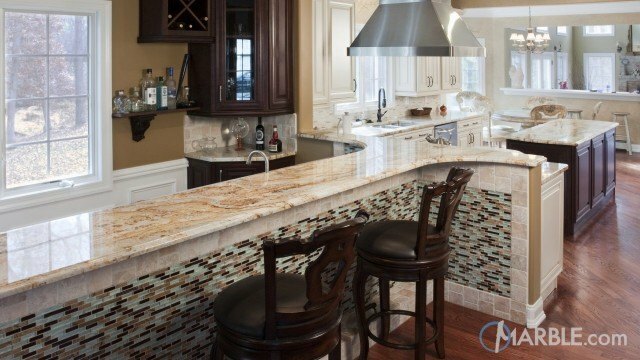 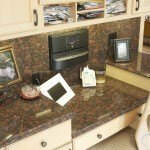 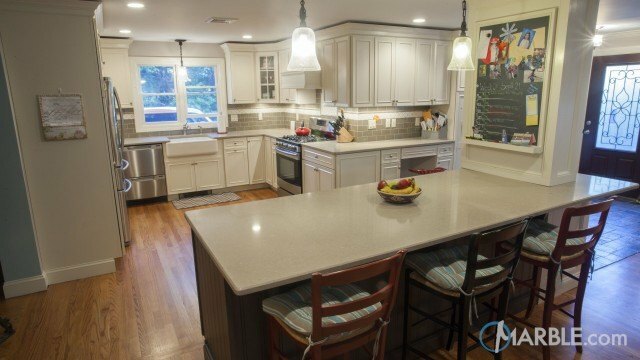 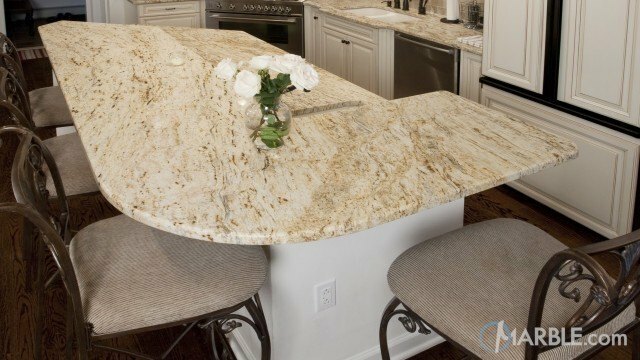 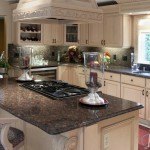 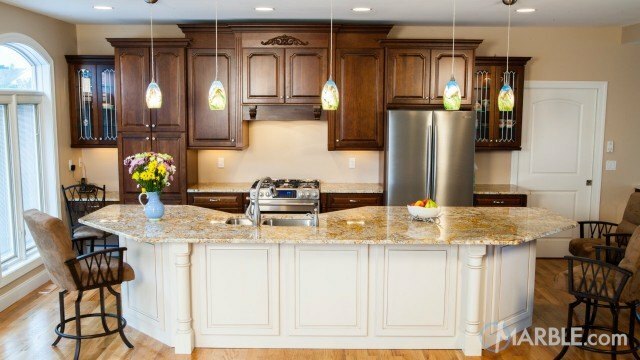 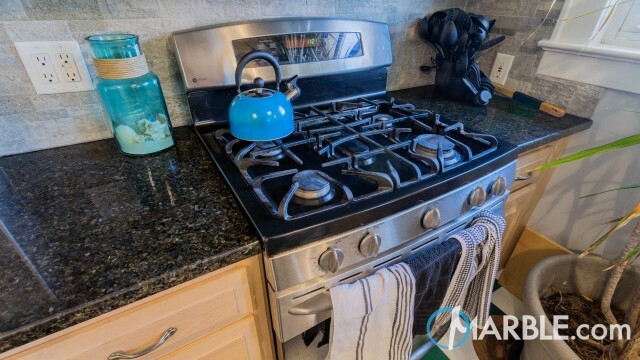 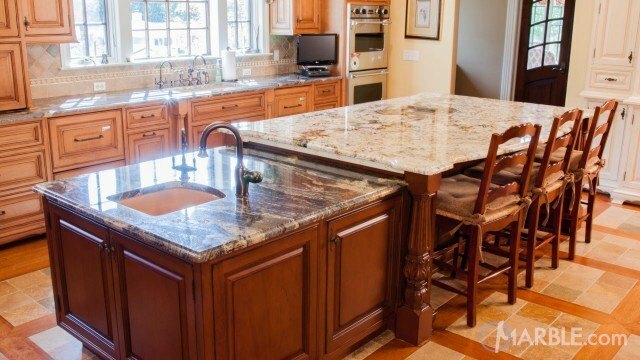 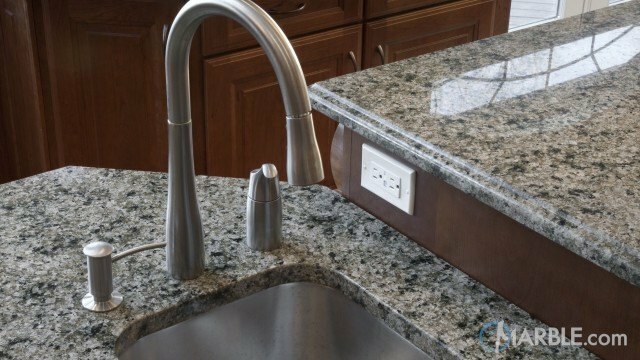 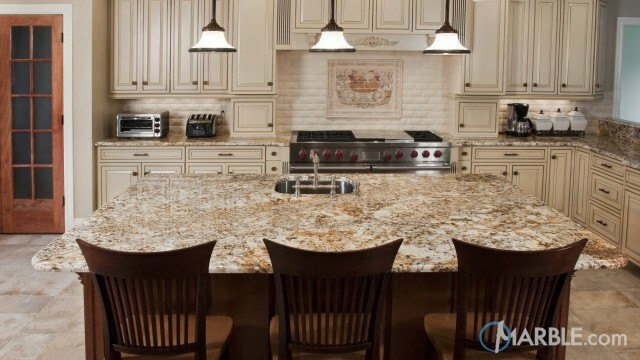 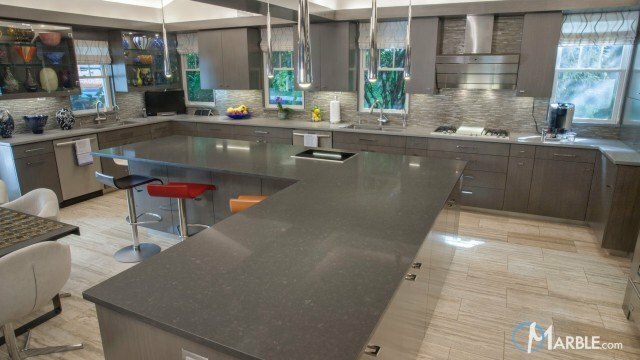 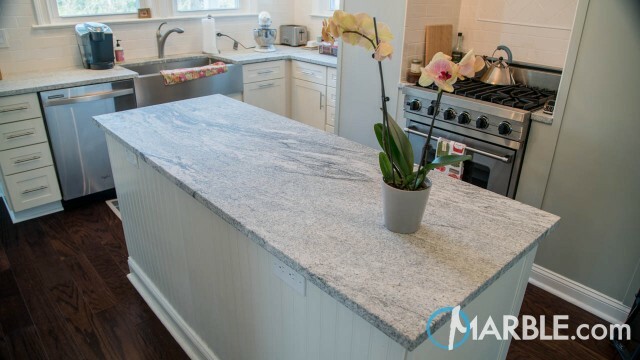 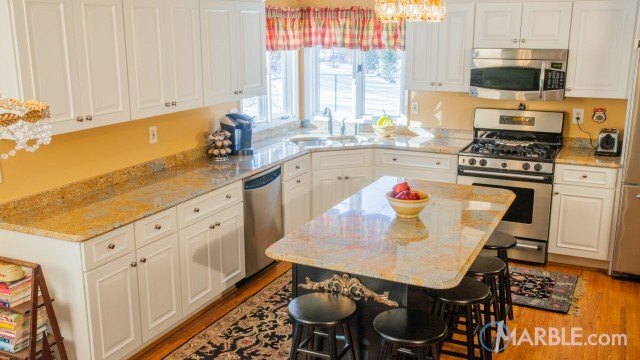 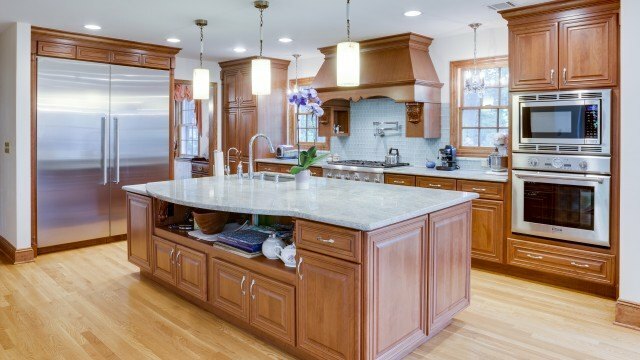 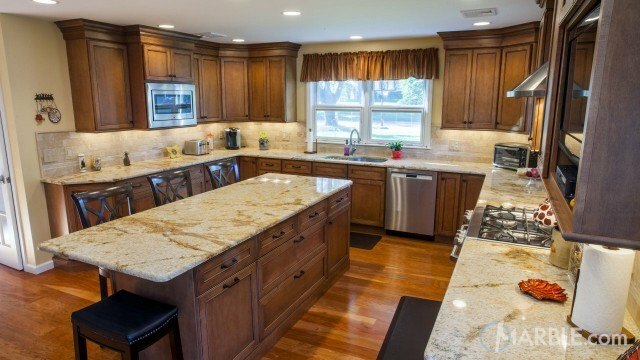 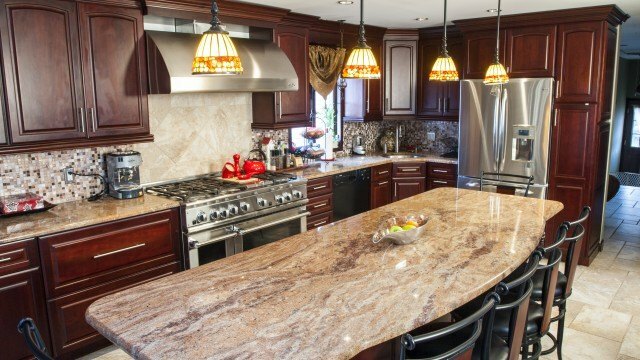 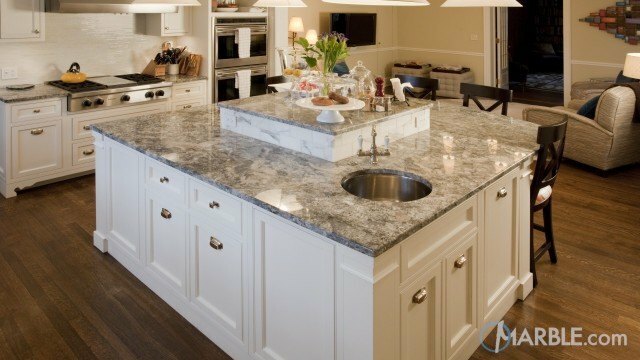 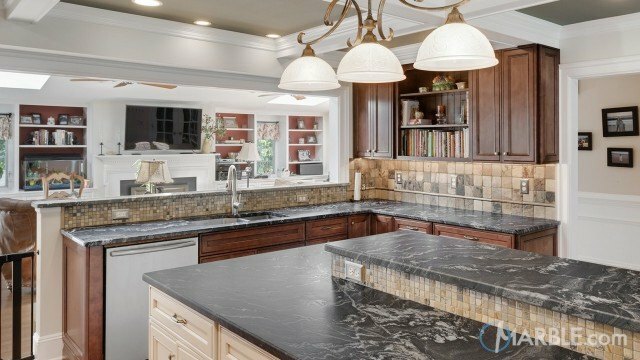 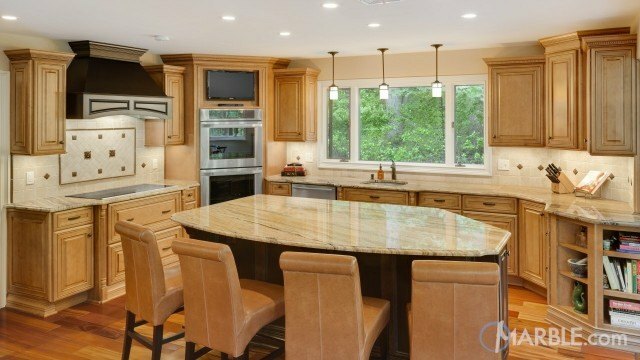 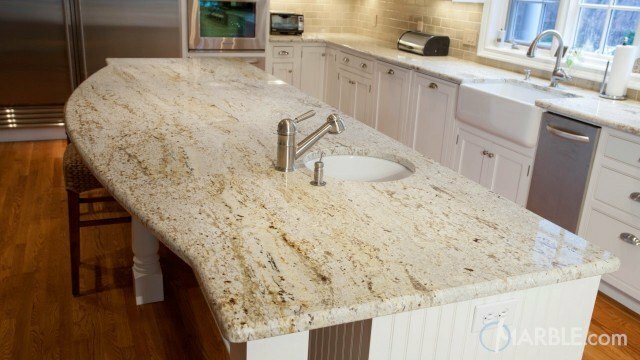 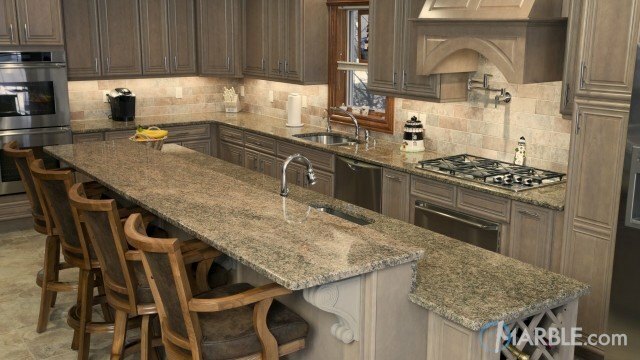 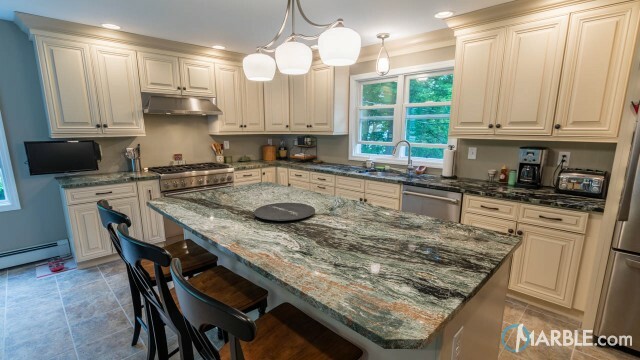 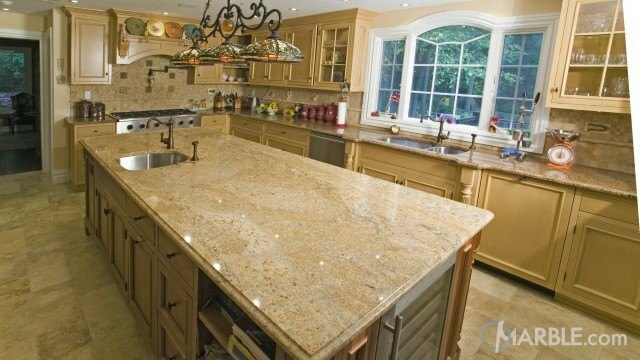 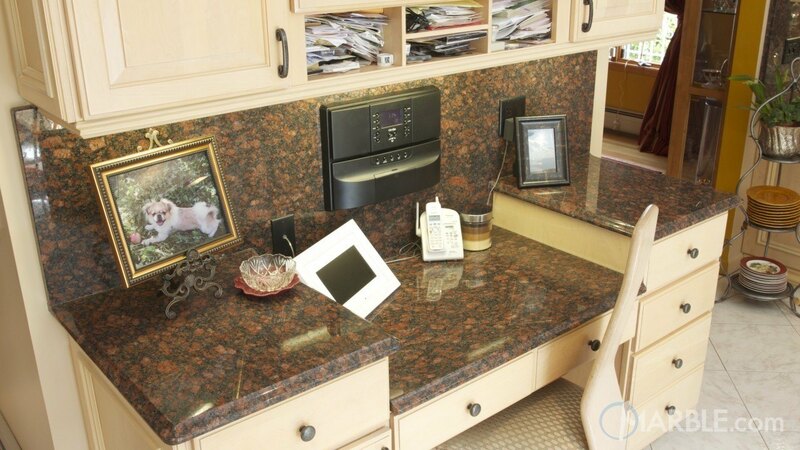 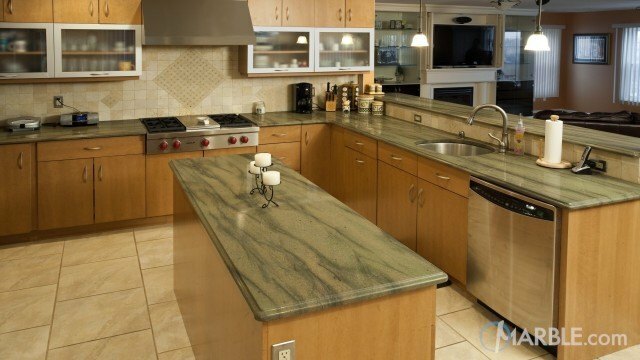 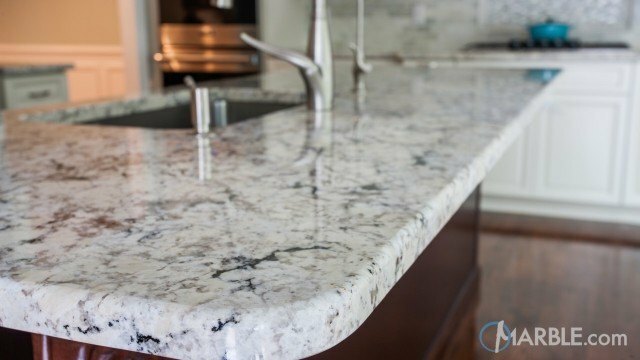 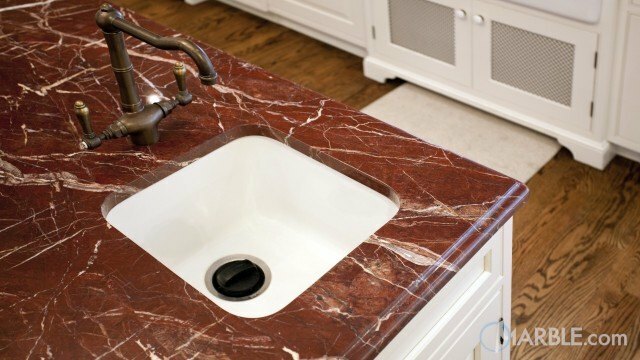 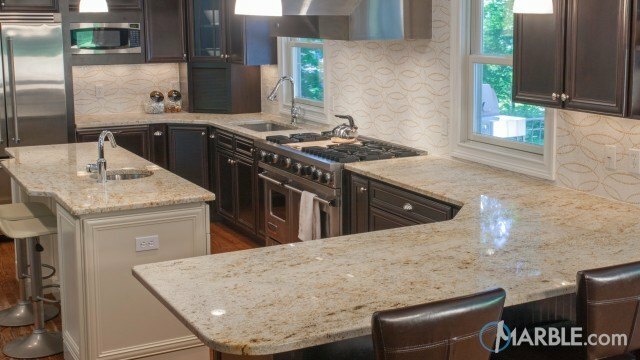 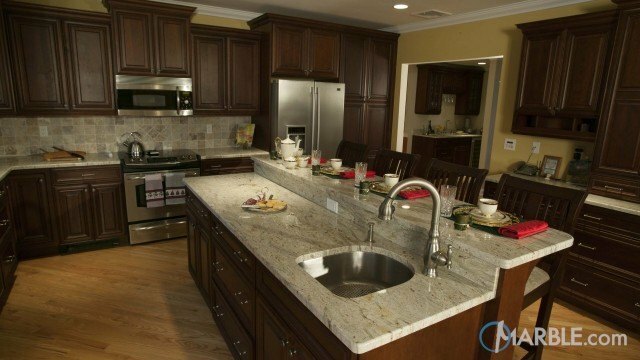 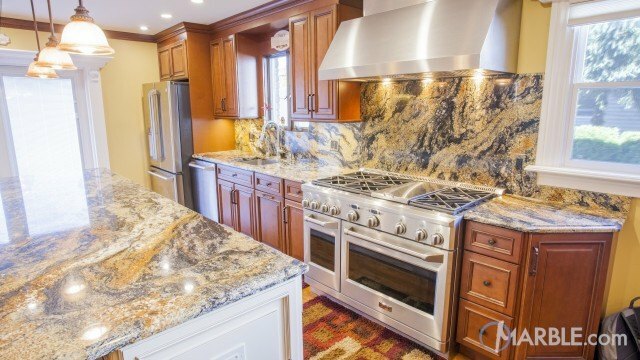 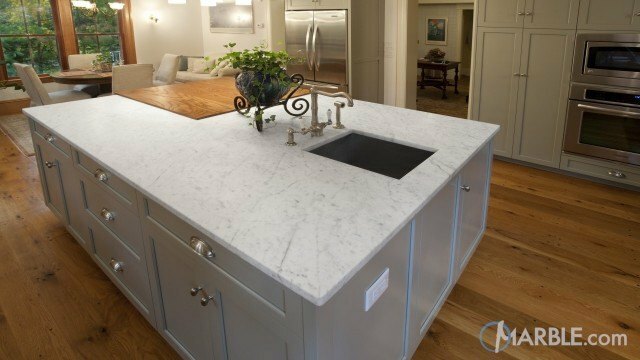 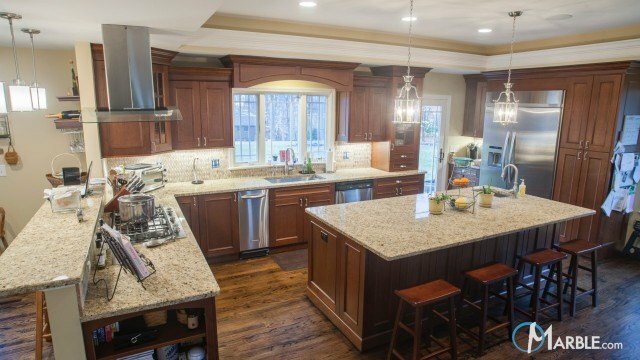 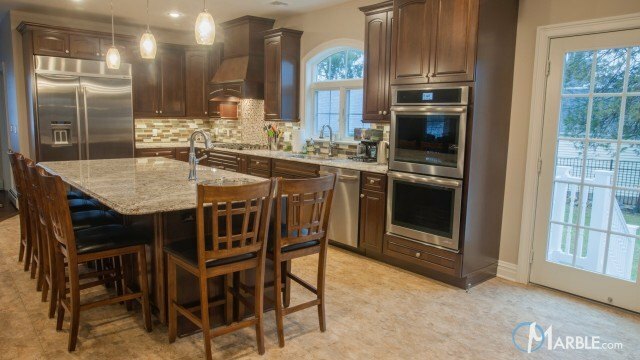 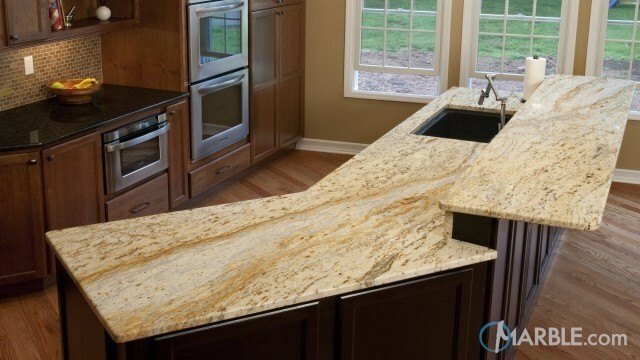 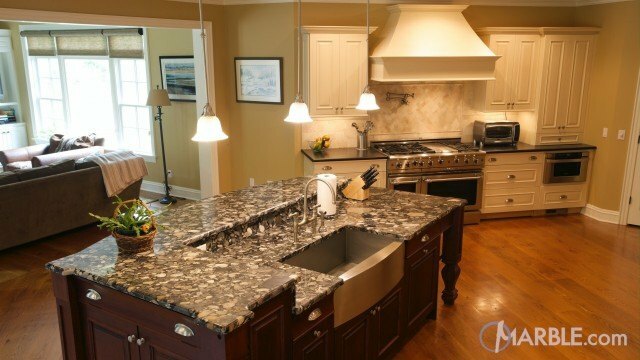 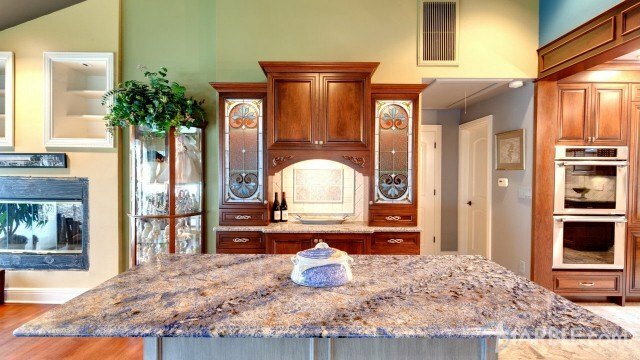 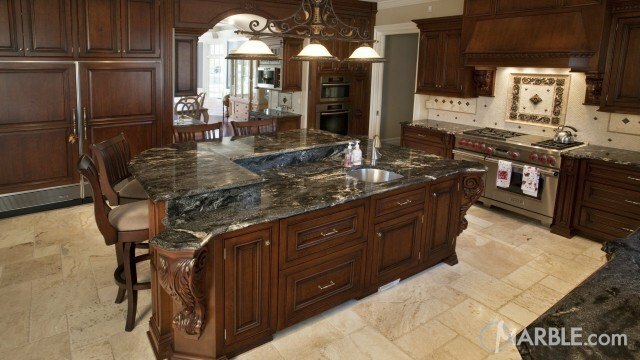 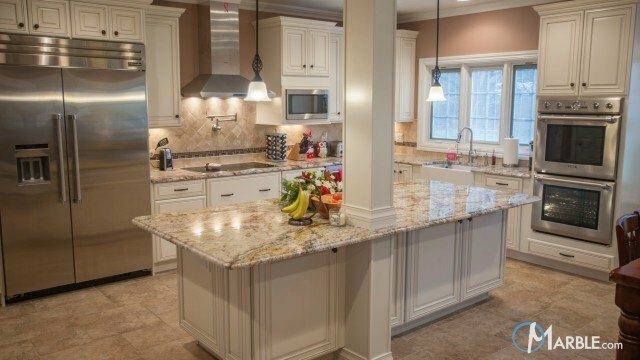 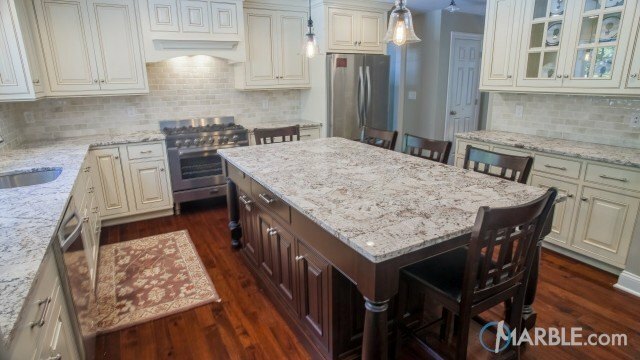 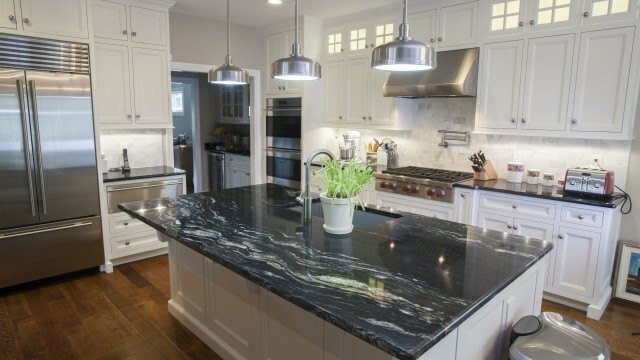 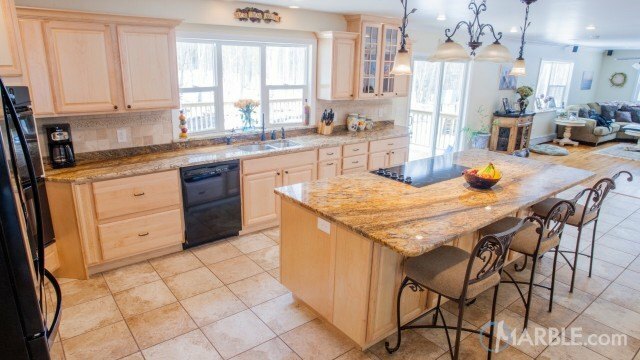 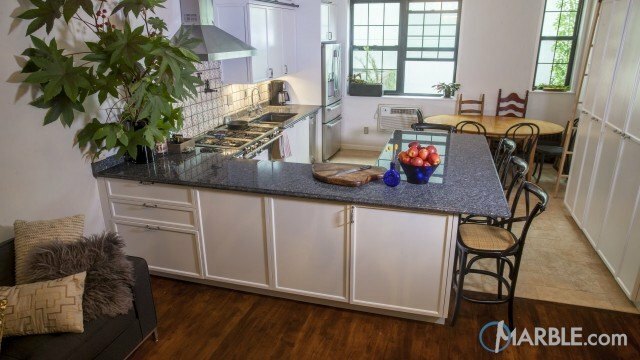 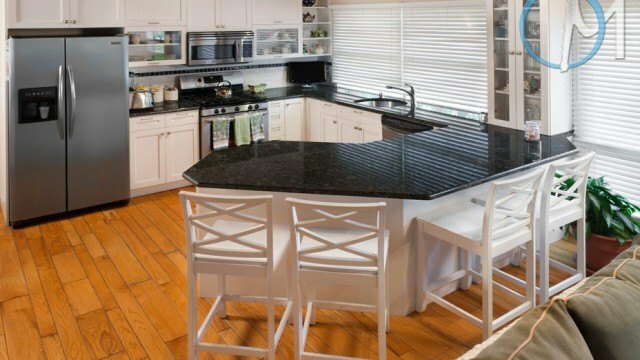 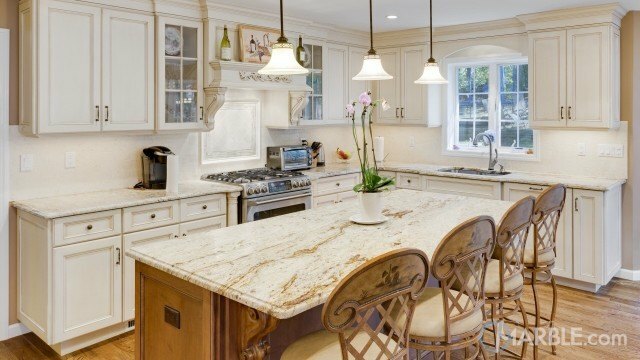 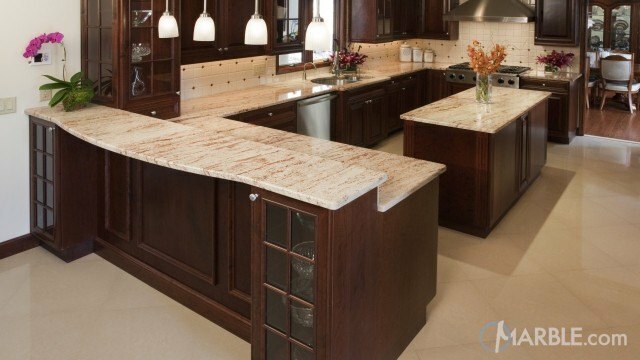 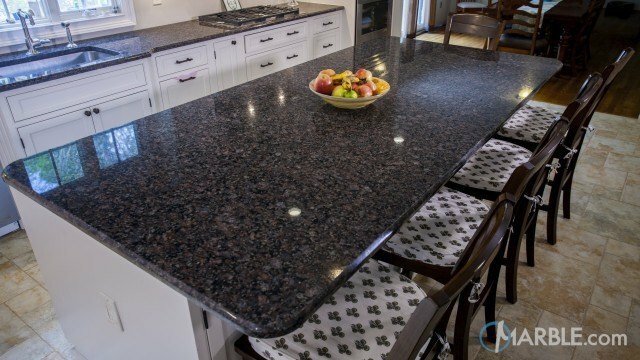 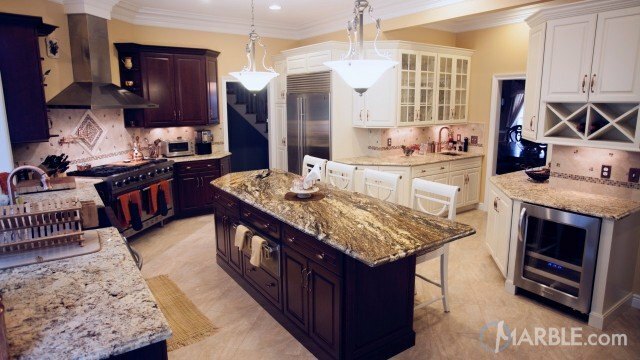 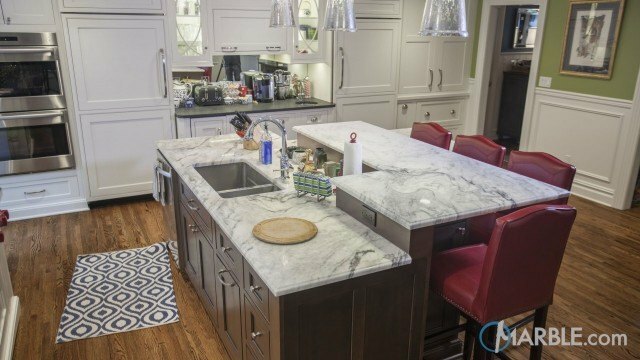 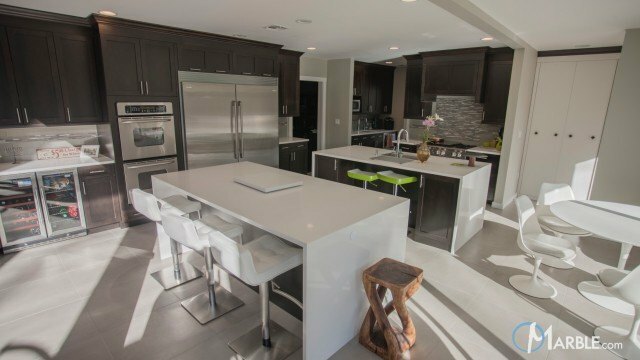 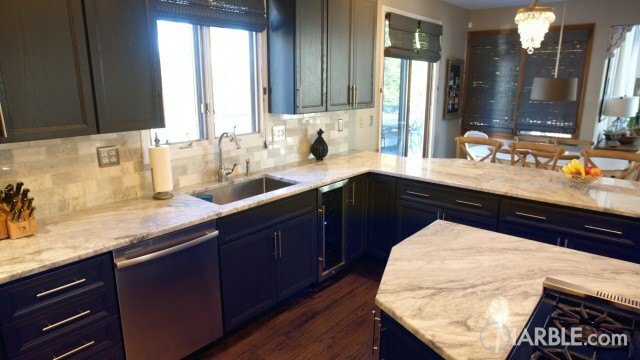 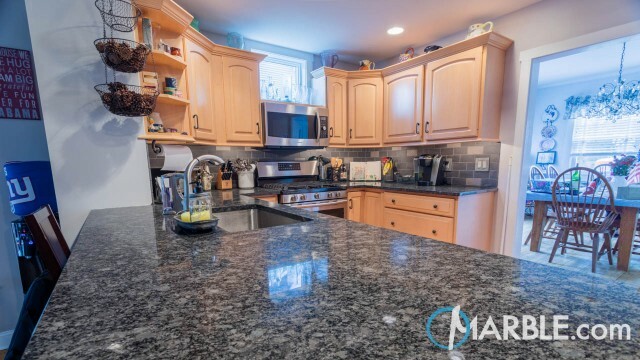 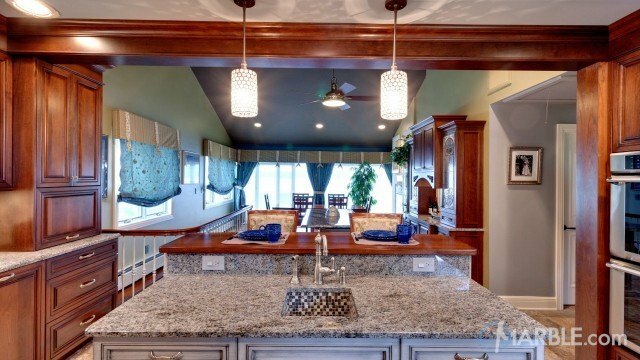 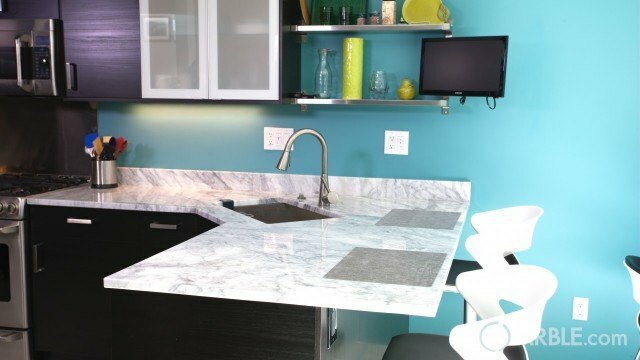 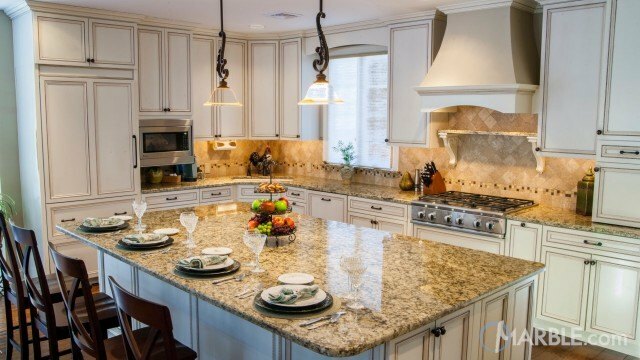 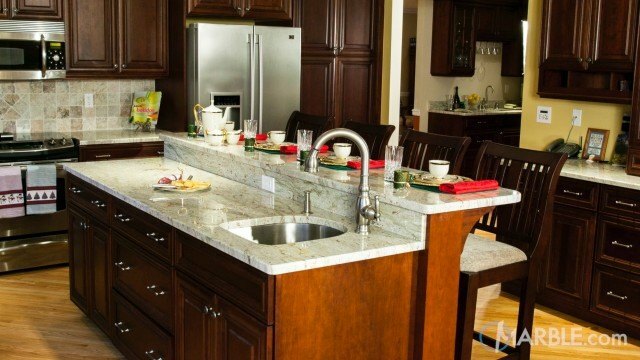 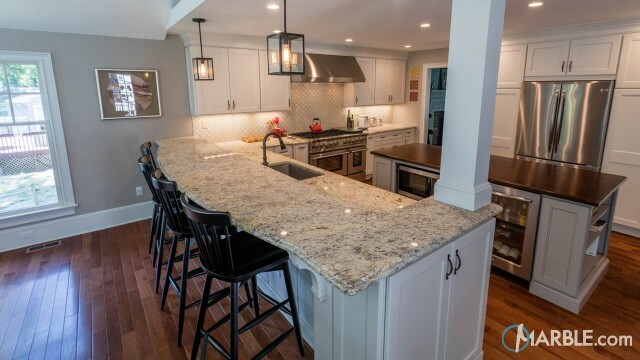 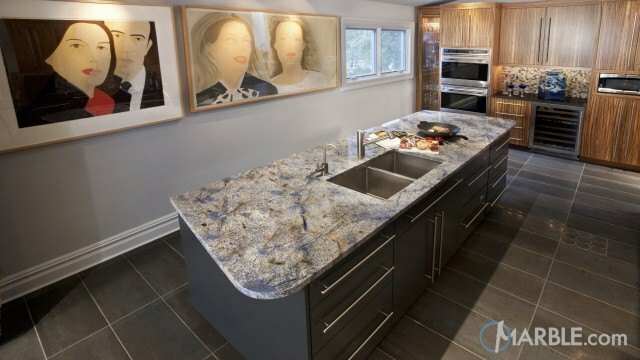 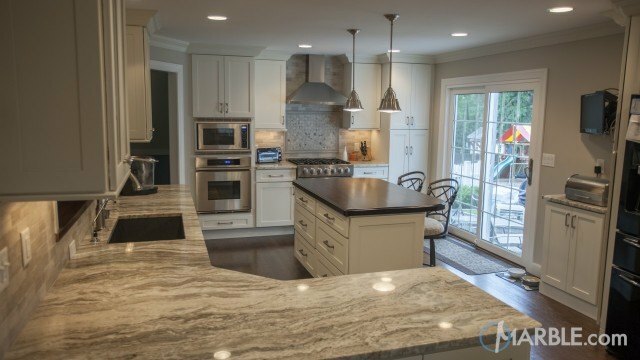 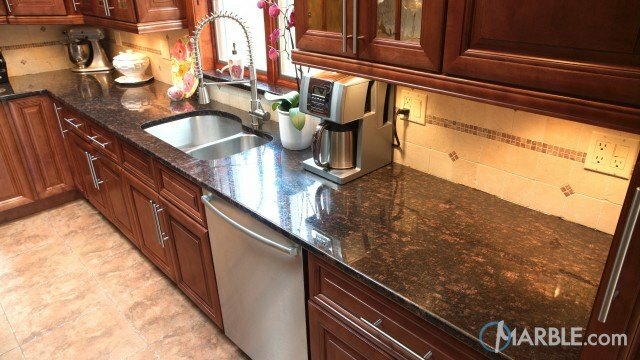 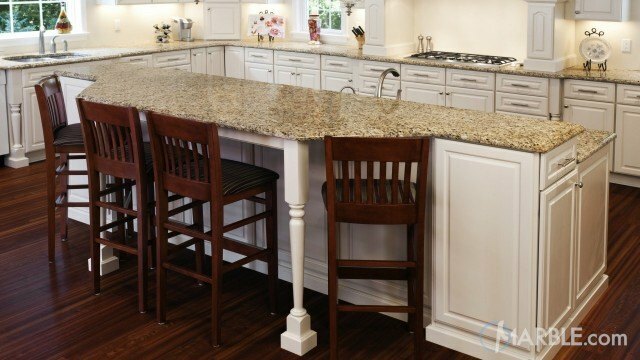 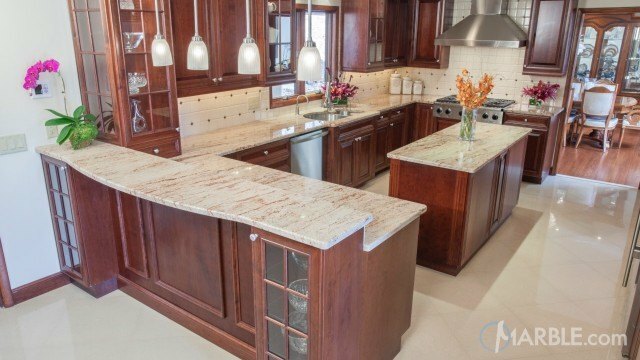 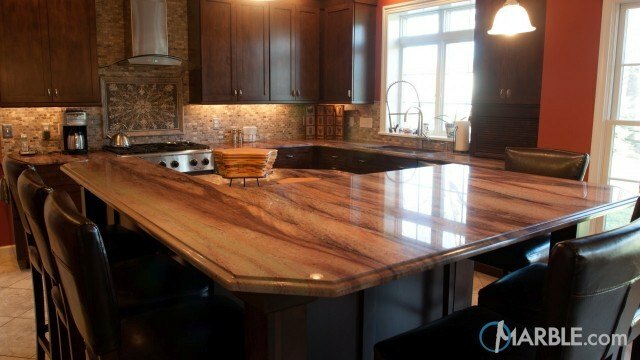 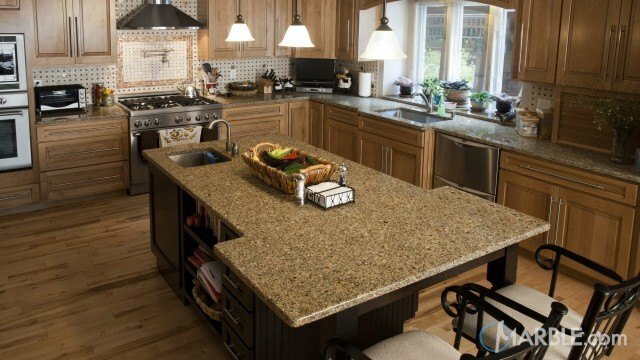 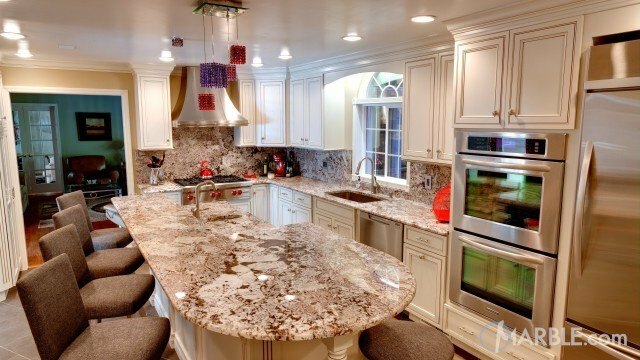 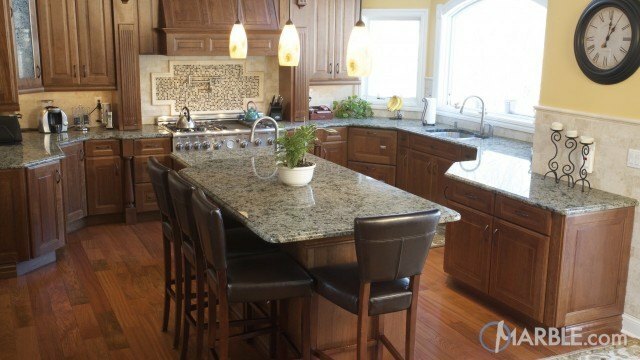 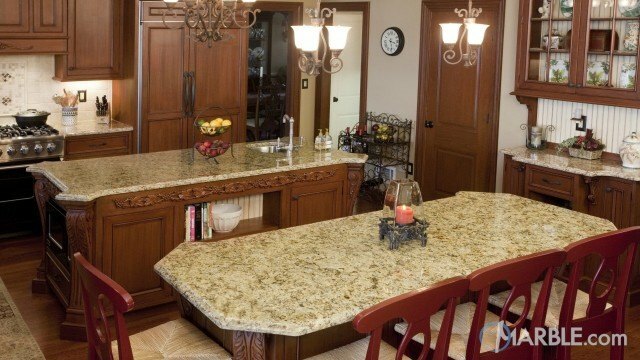 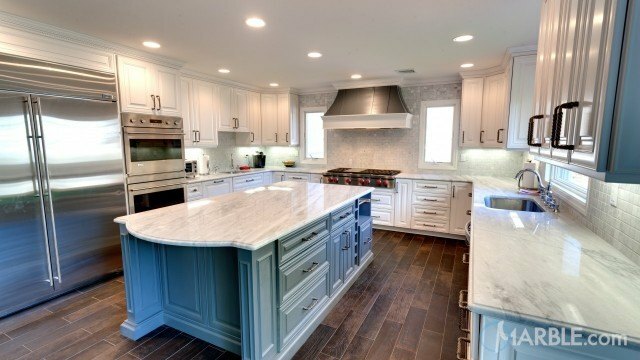 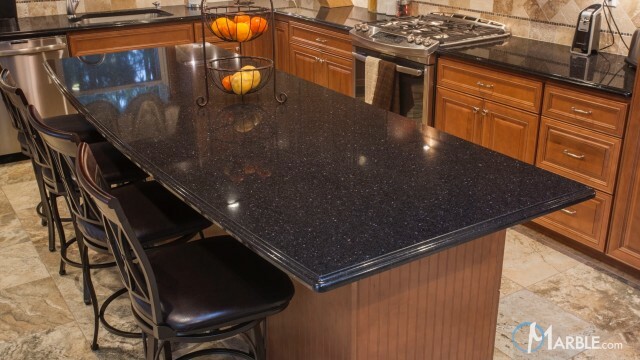 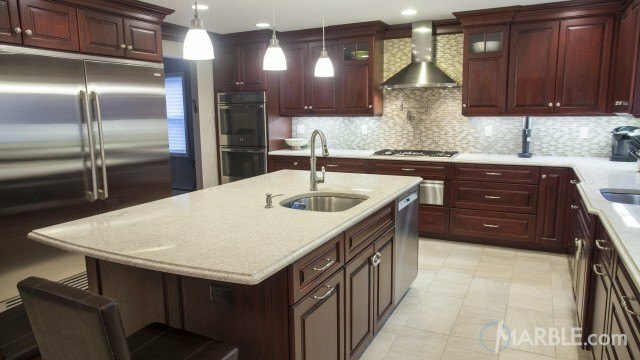 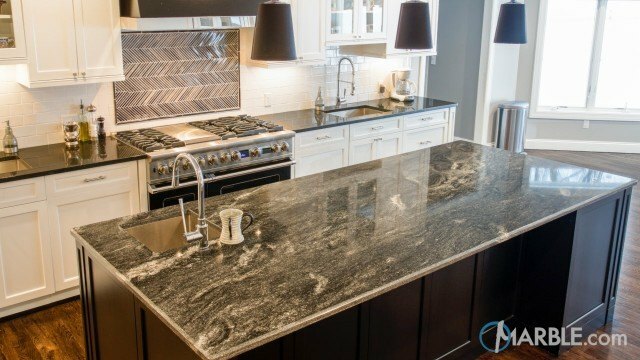 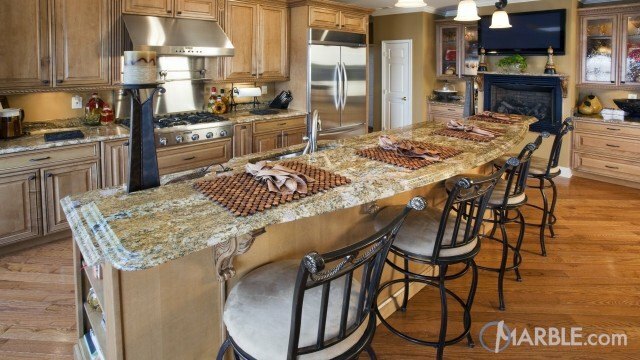 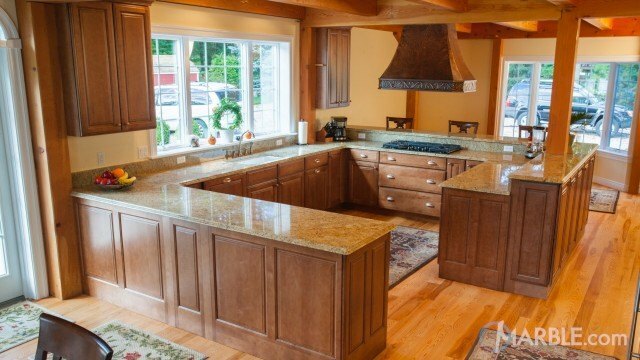 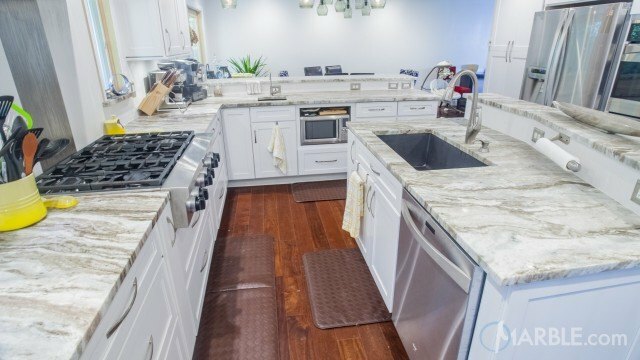 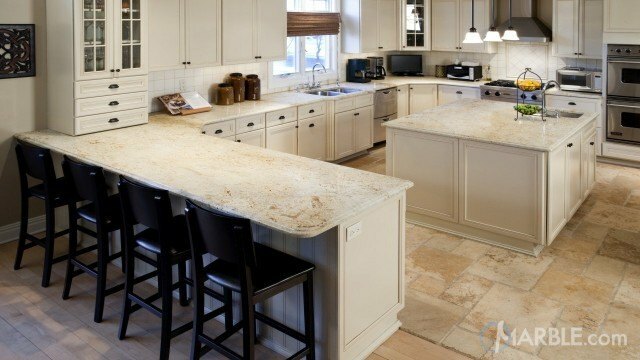 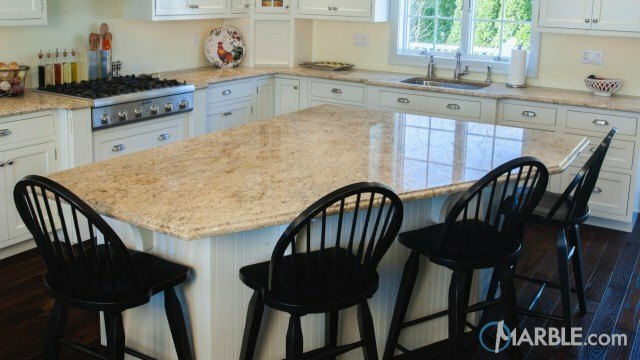 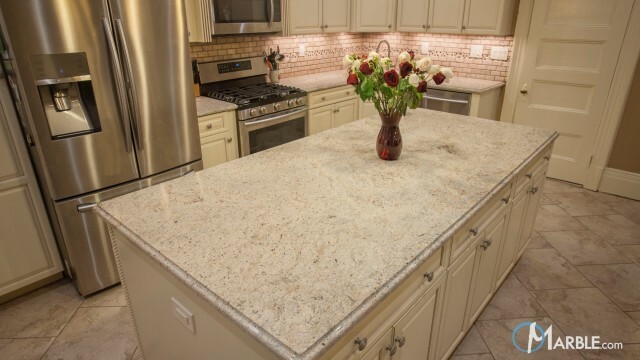 This large two-tone kitchen features a center island with built-in range and surrounded by a single piece of Ruby Blue granite. 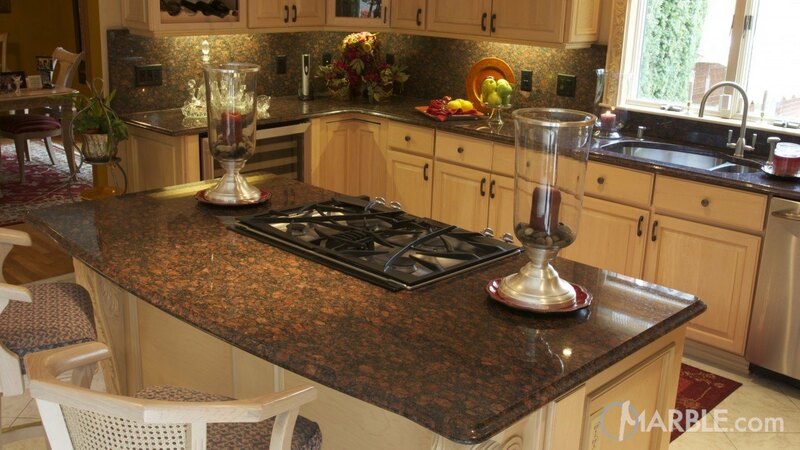 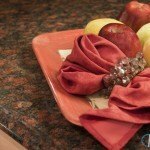 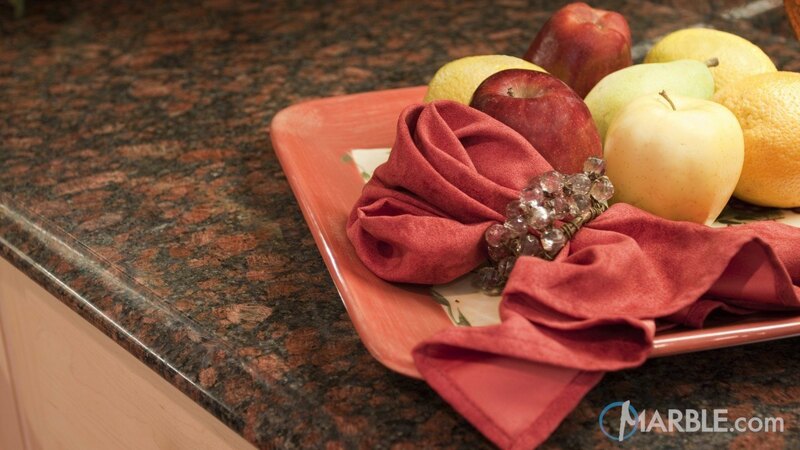 Red and black speckles are complemented by many red accent pieces around the room. 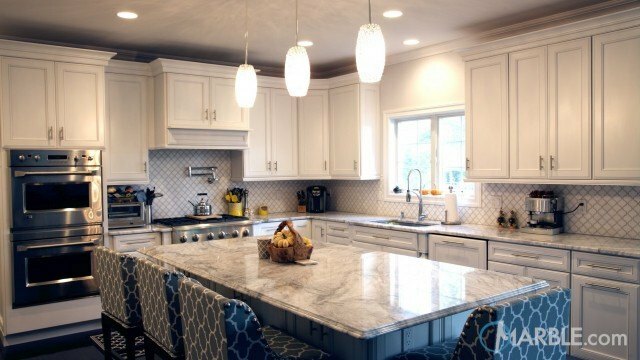 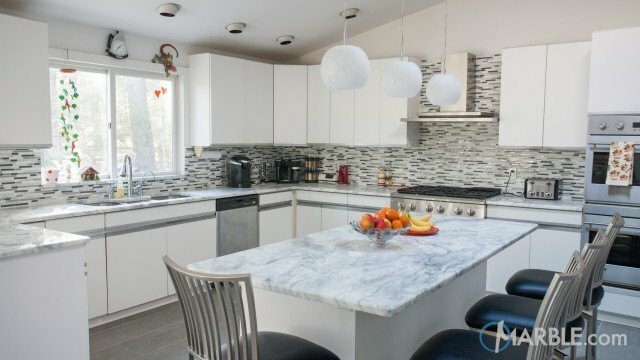 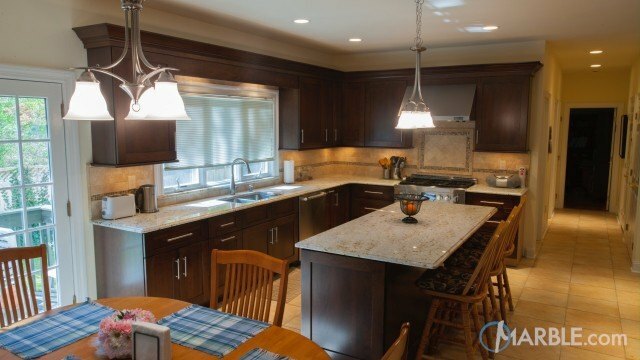 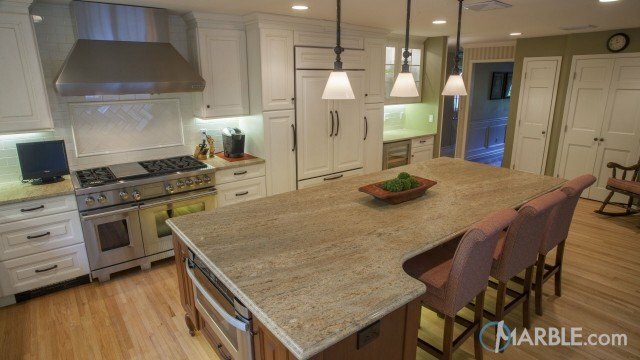 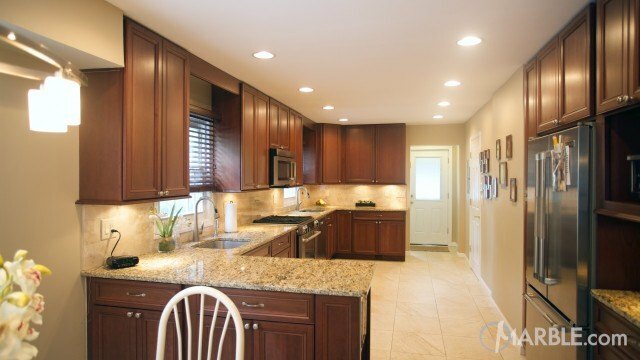 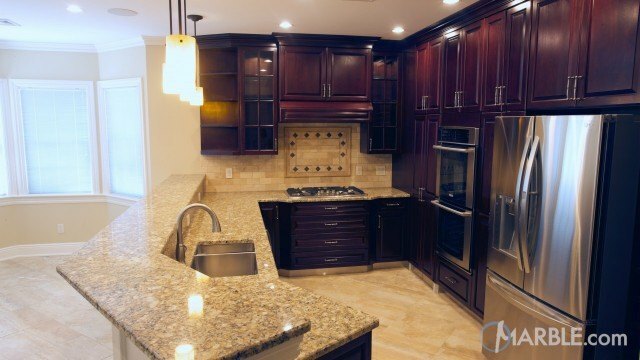 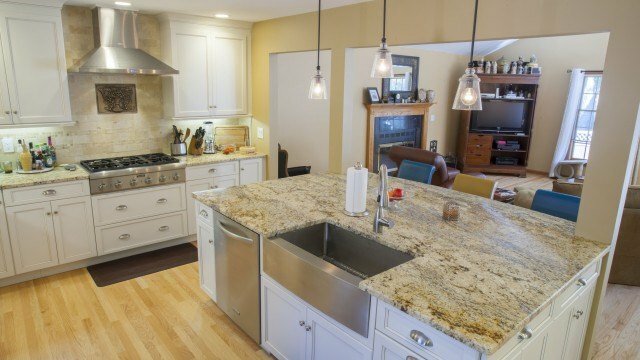 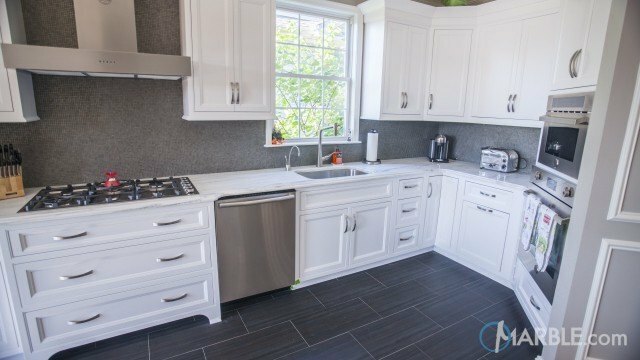 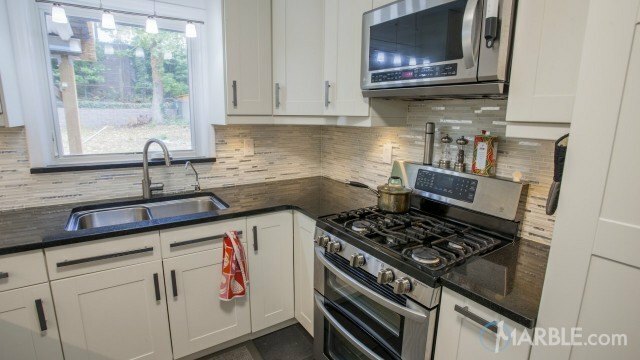 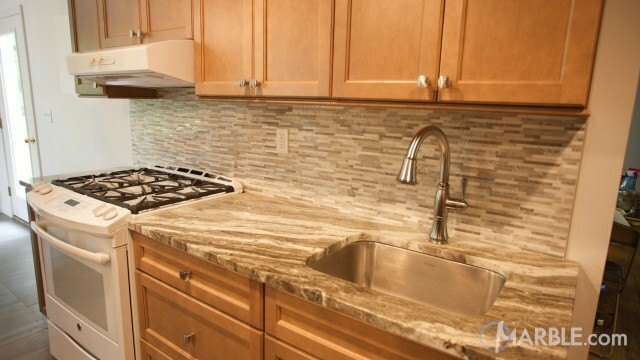 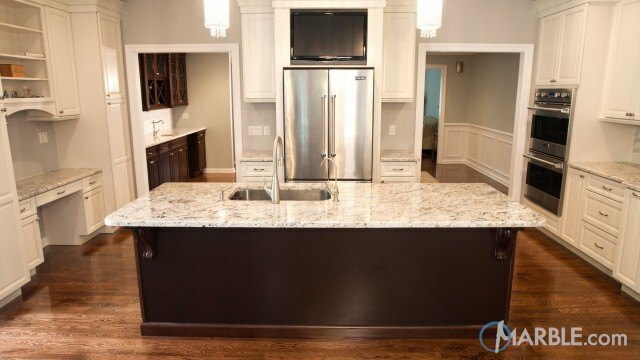 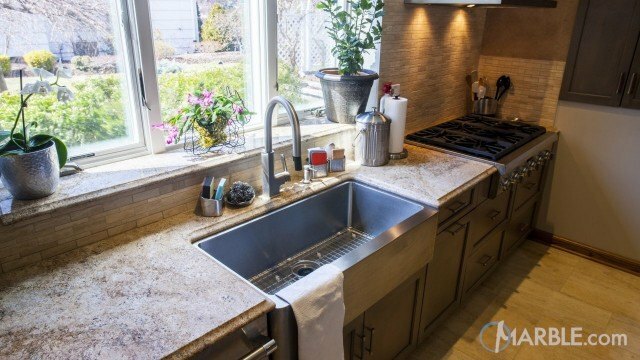 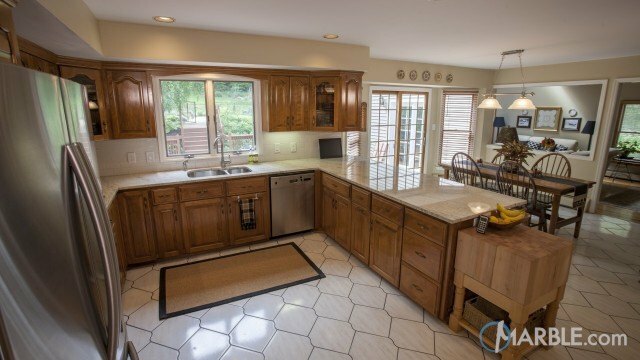 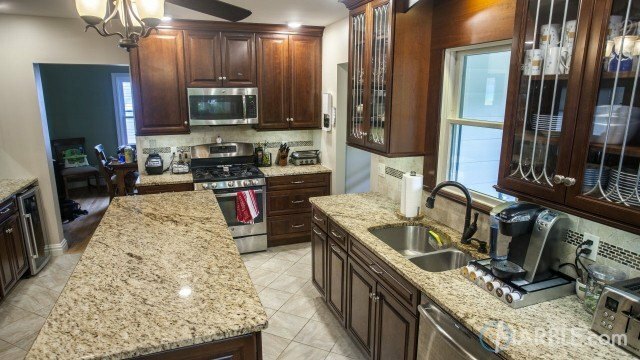 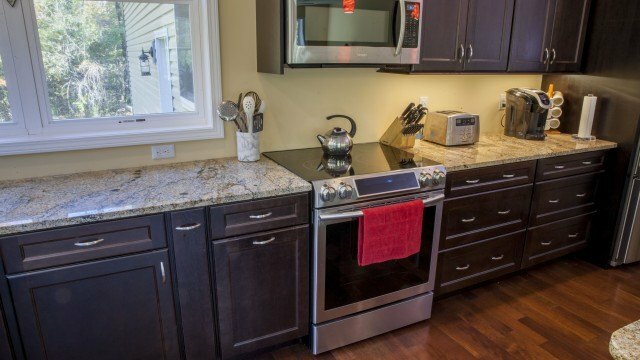 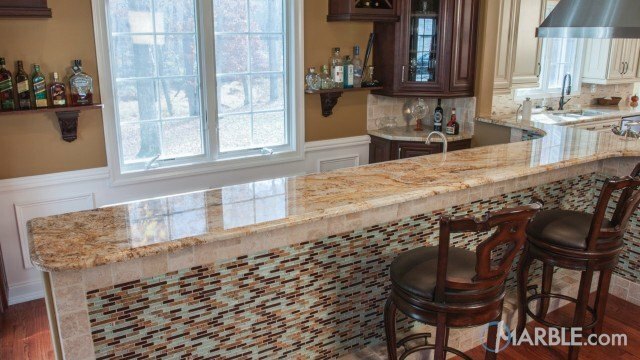 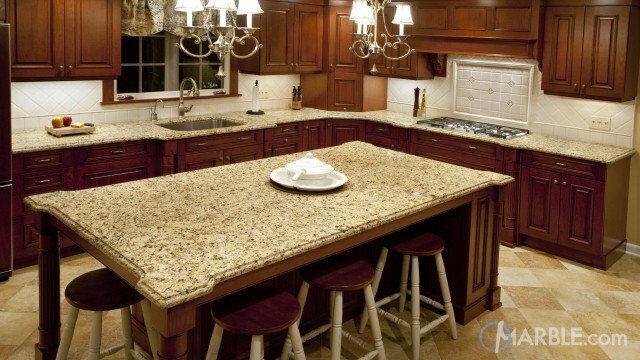 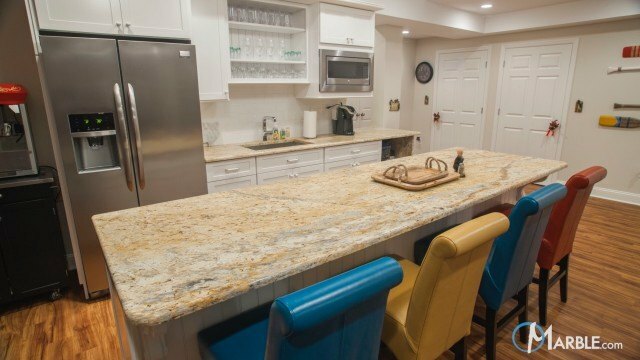 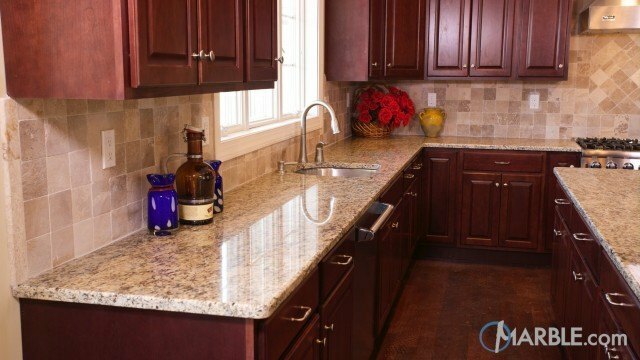 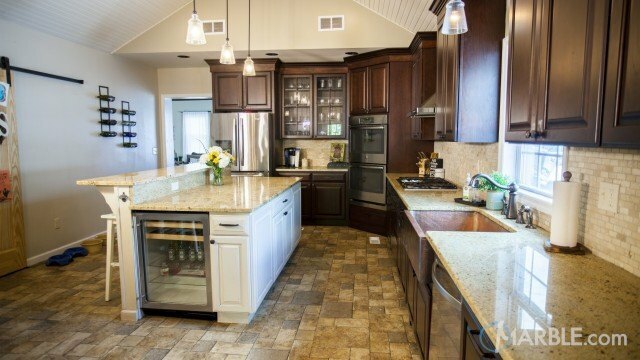 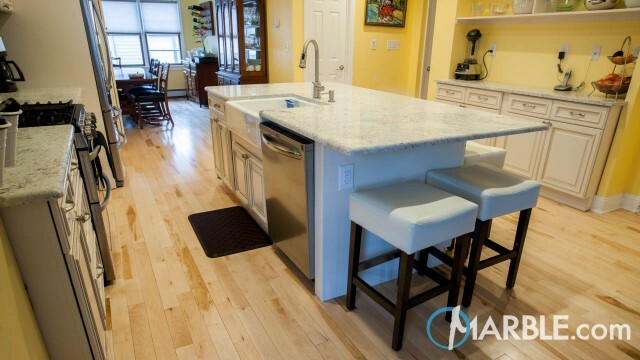 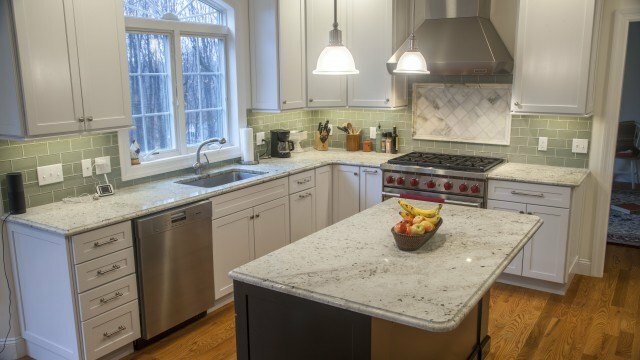 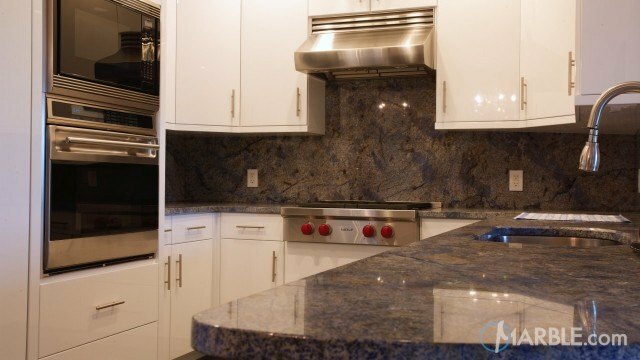 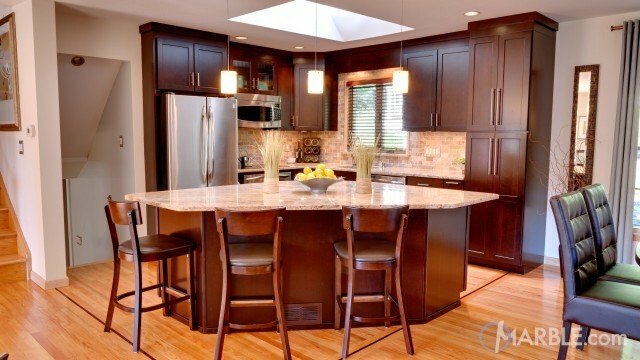 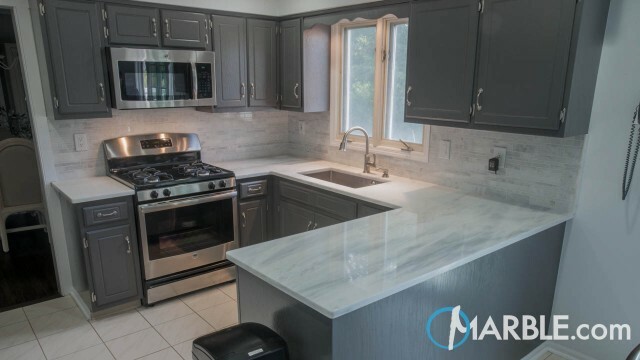 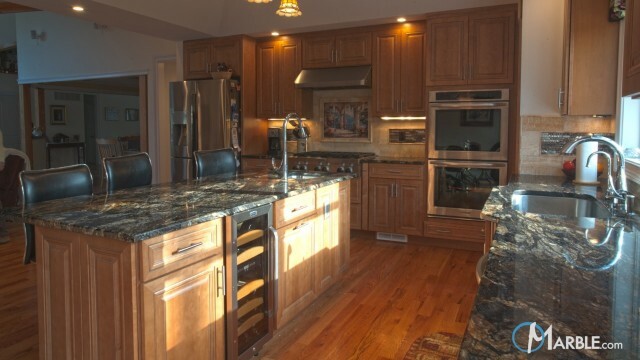 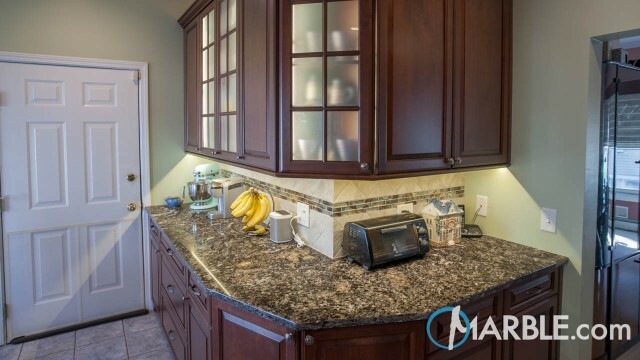 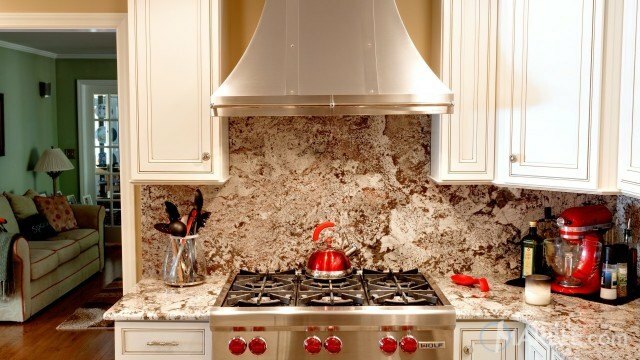 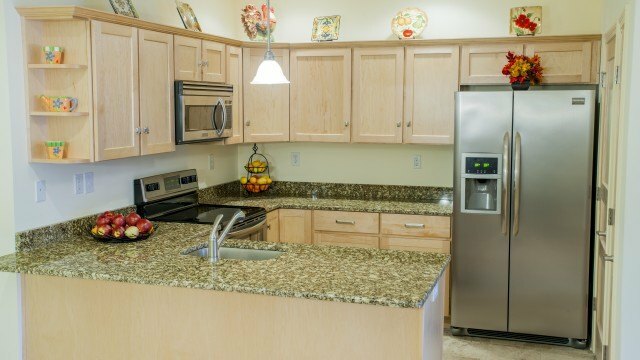 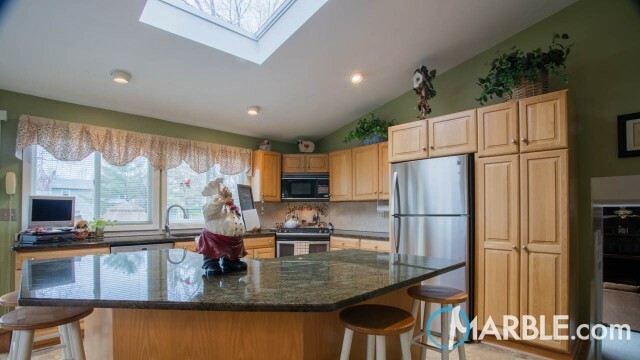 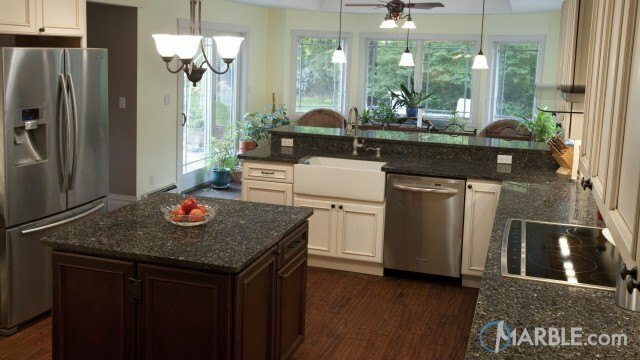 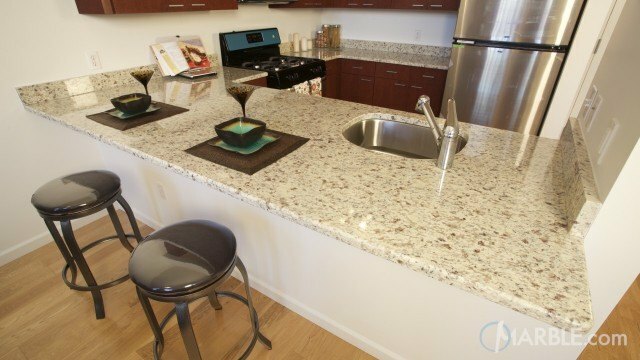 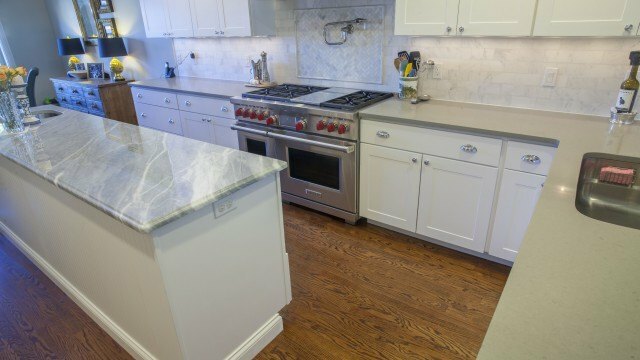 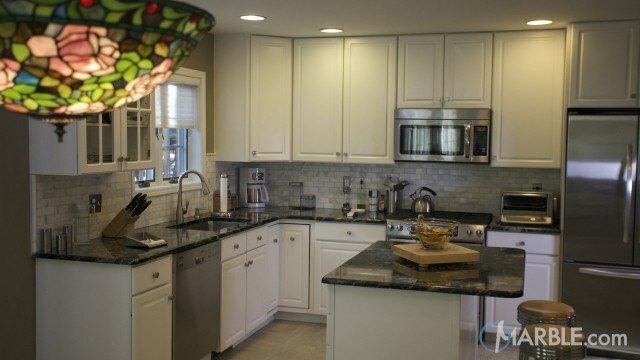 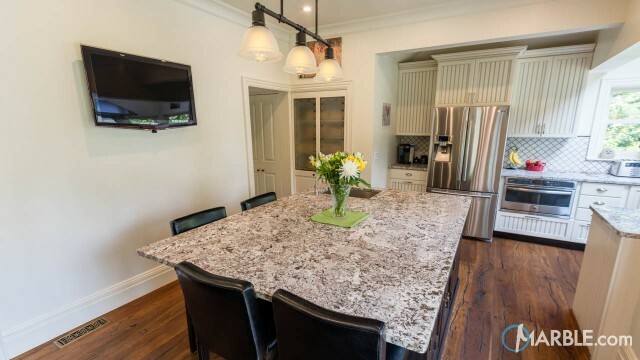 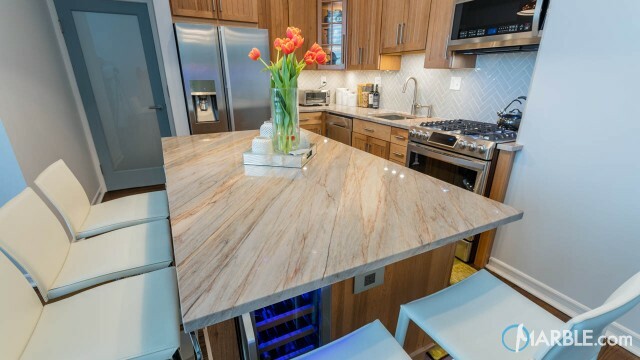 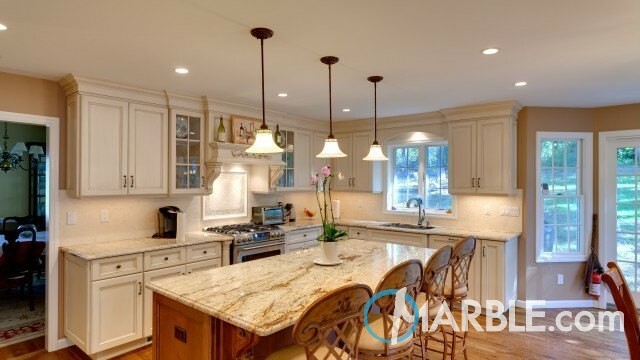 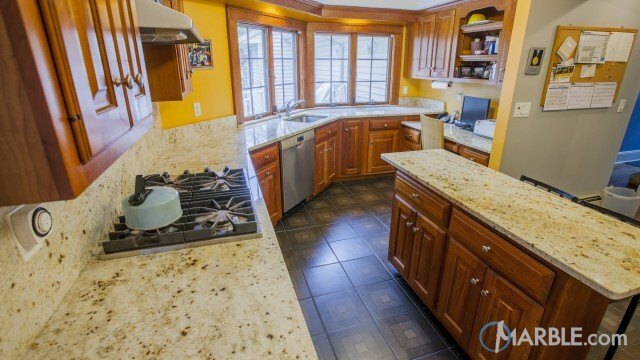 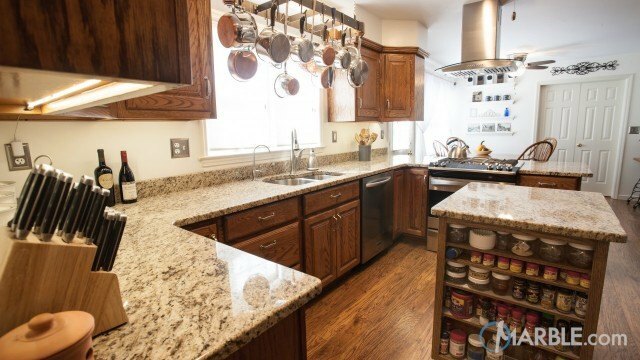 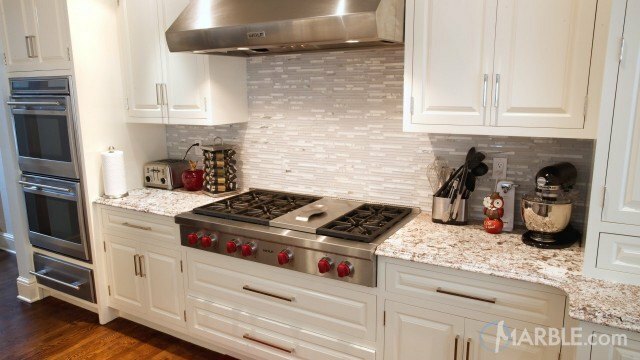 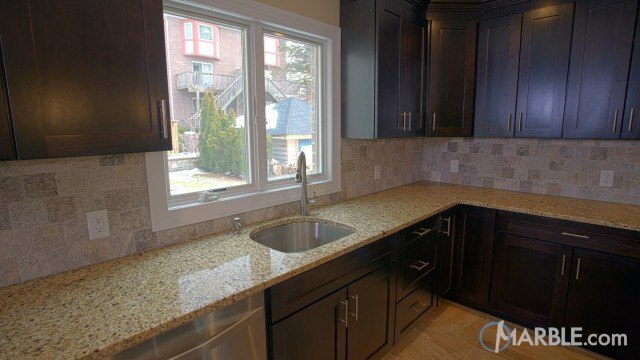 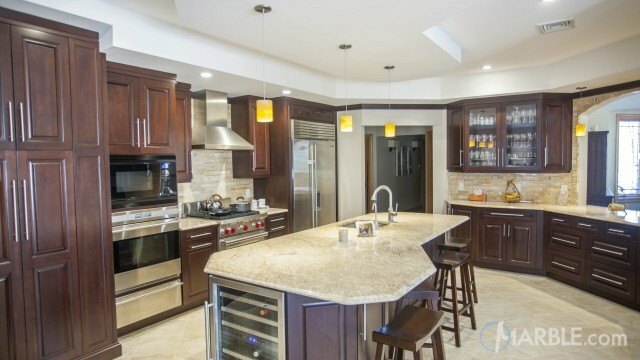 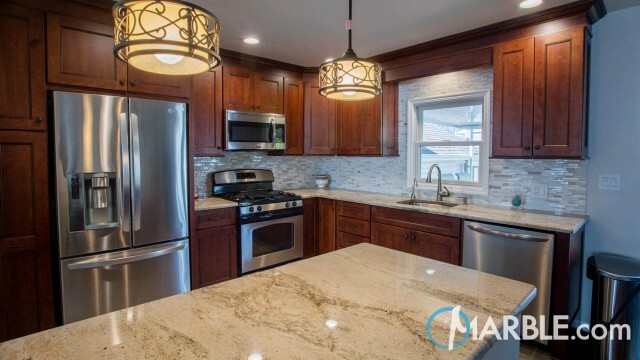 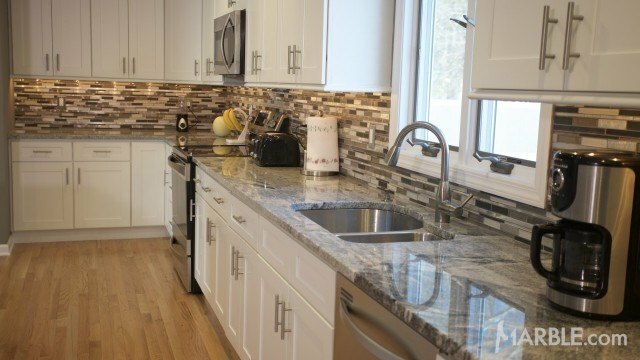 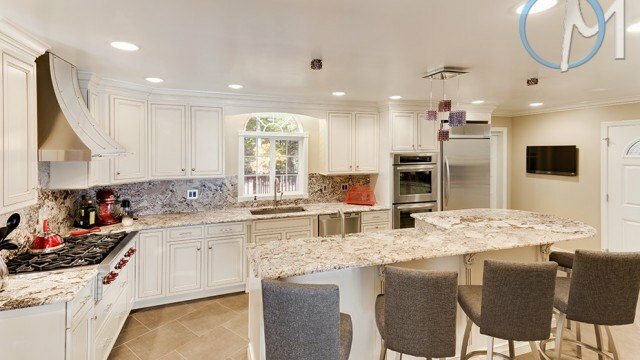 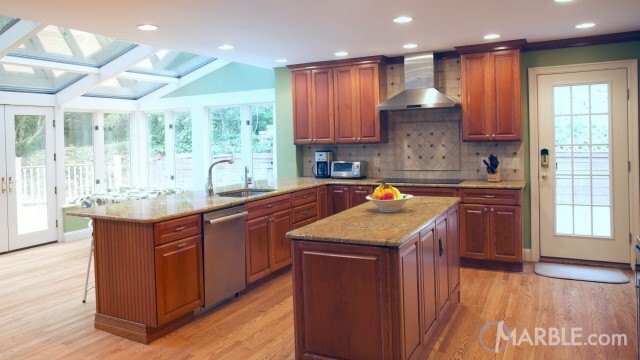 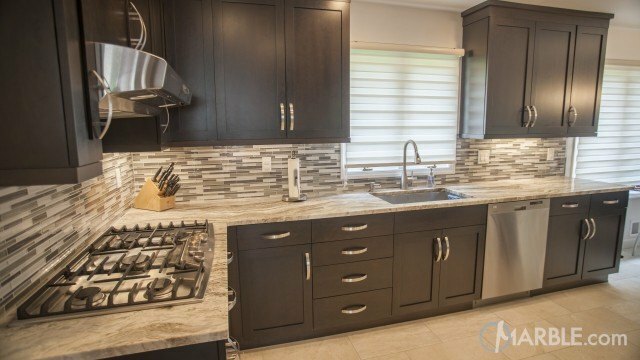 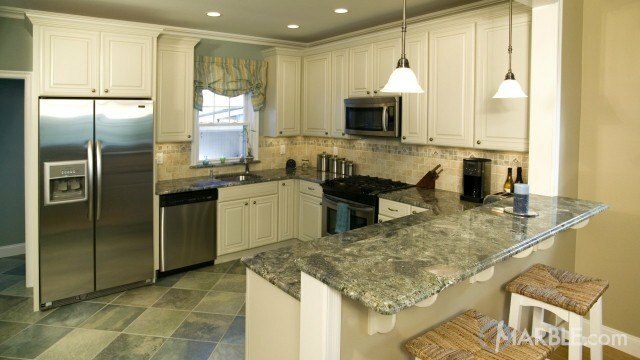 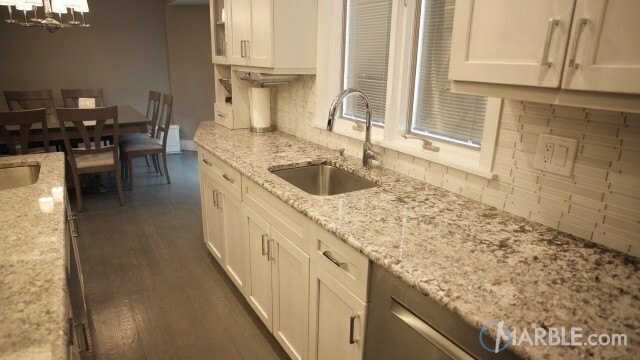 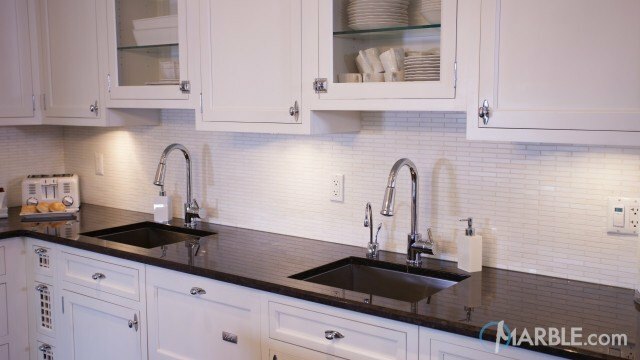 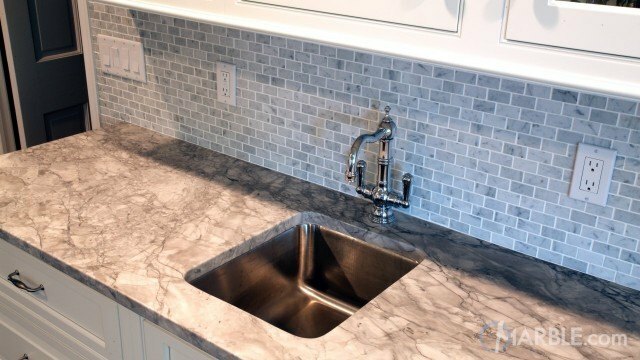 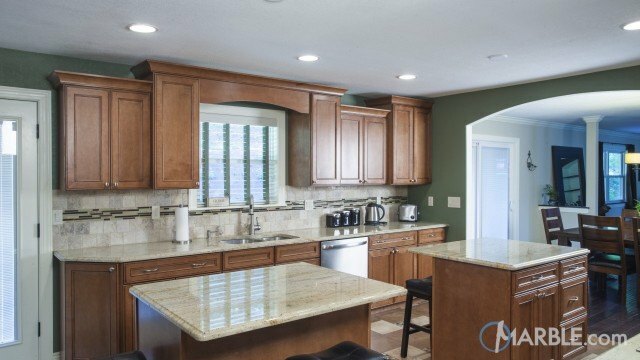 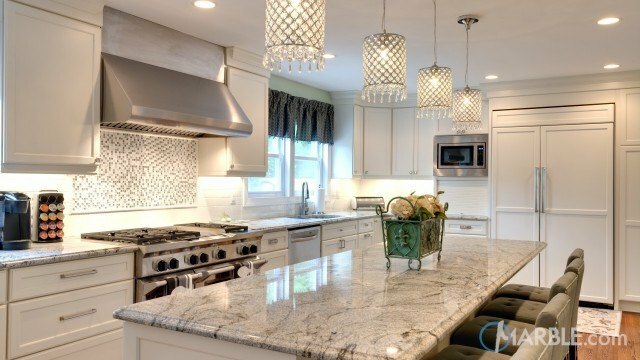 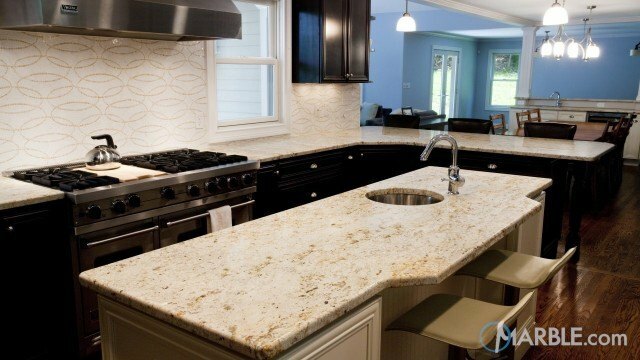 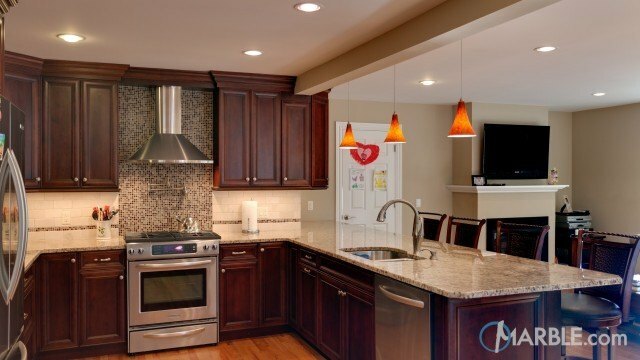 Light cabinets and a white tile floor contrast the granite and add brightness to the room. 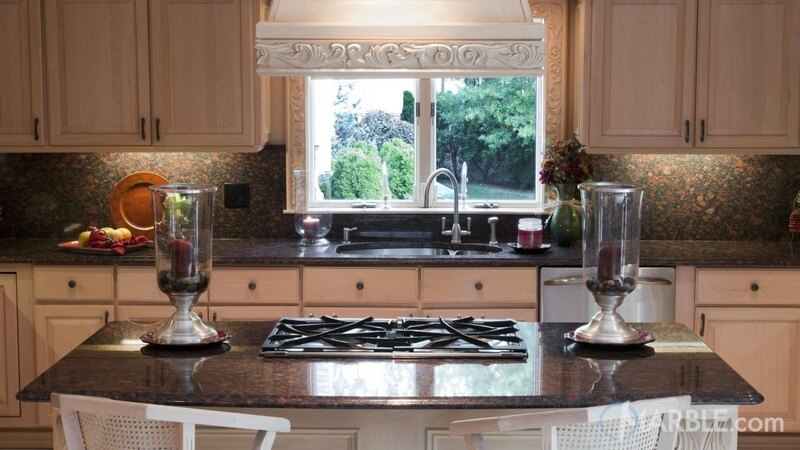 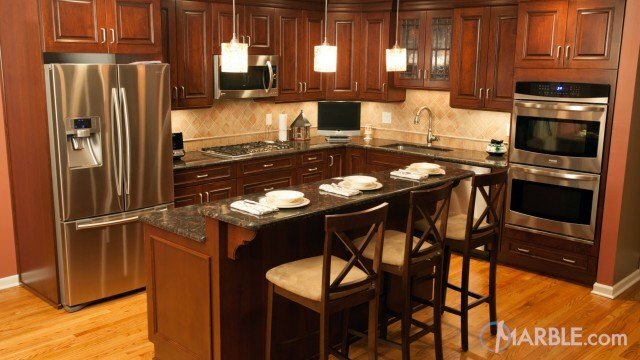 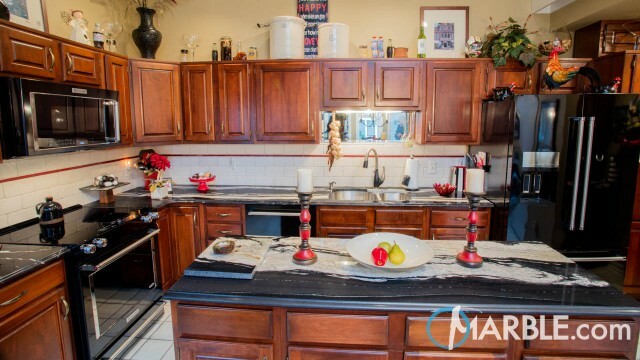 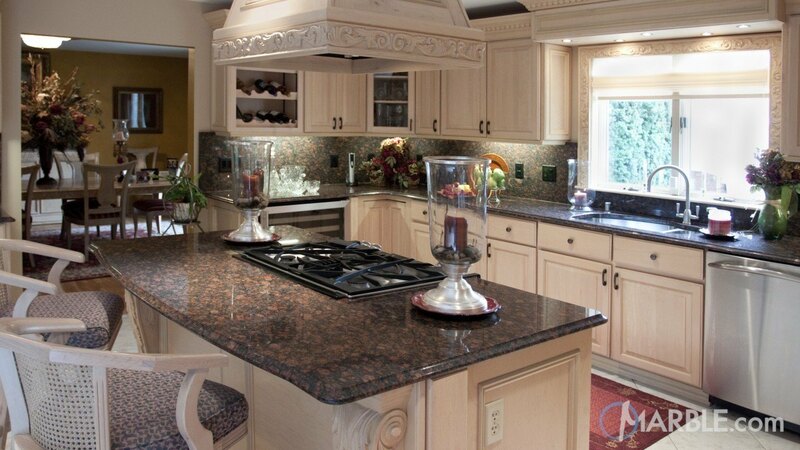 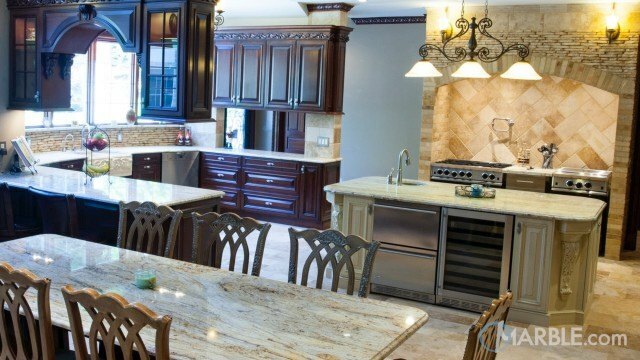 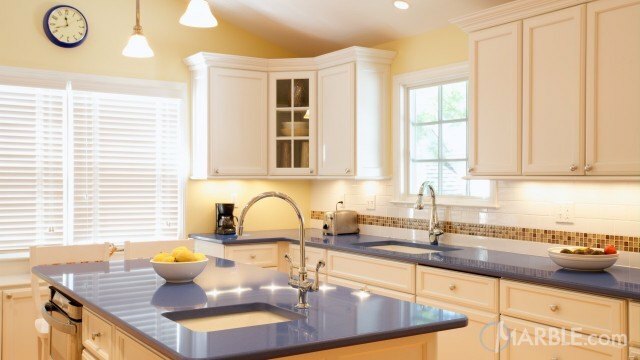 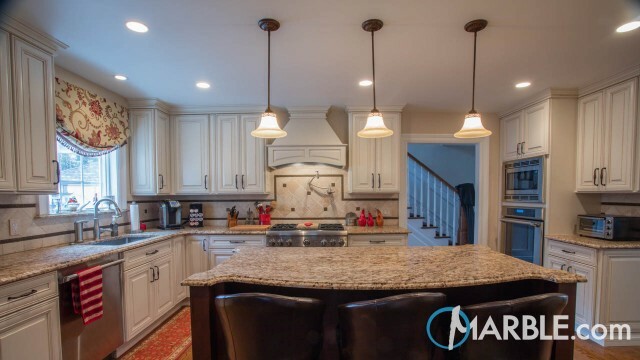 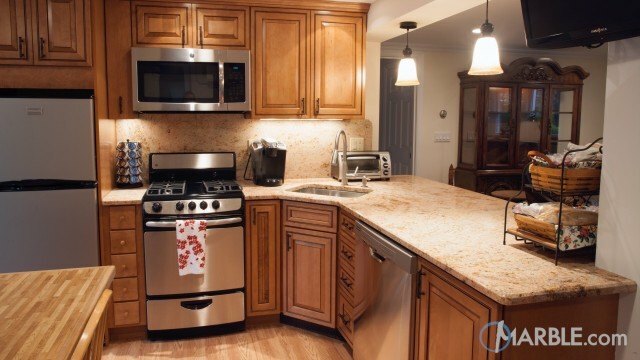 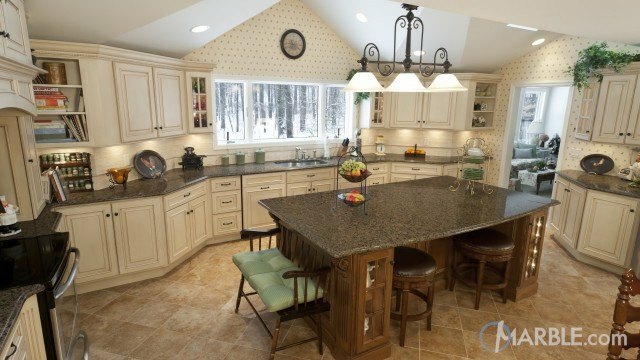 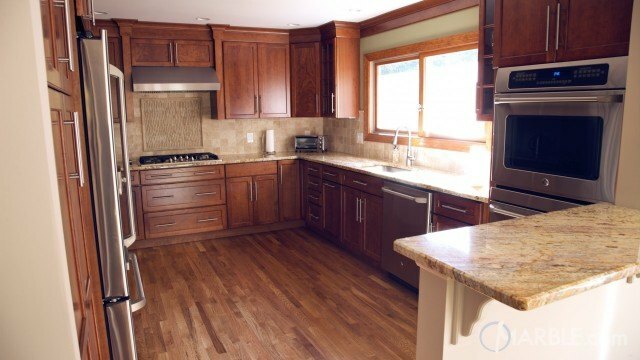 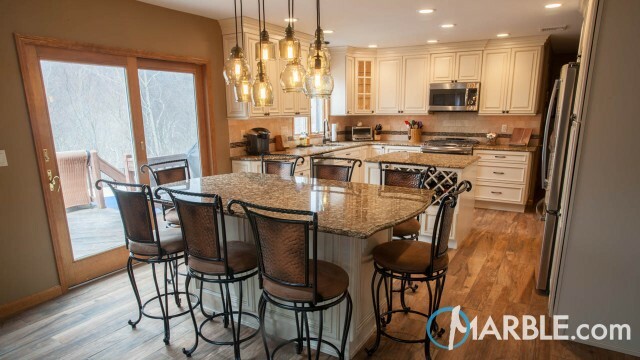 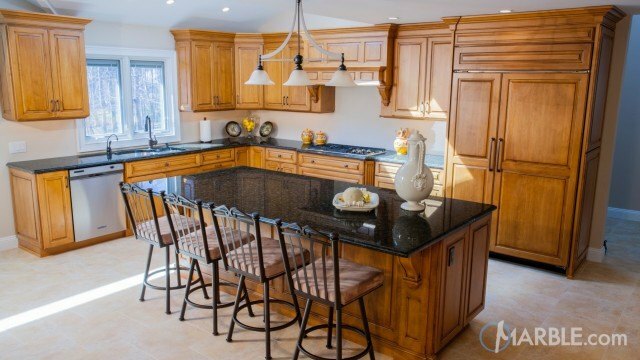 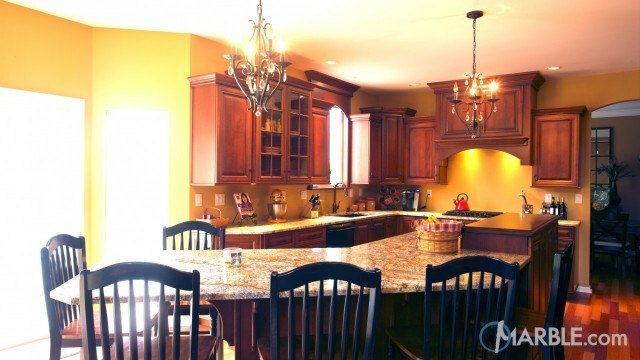 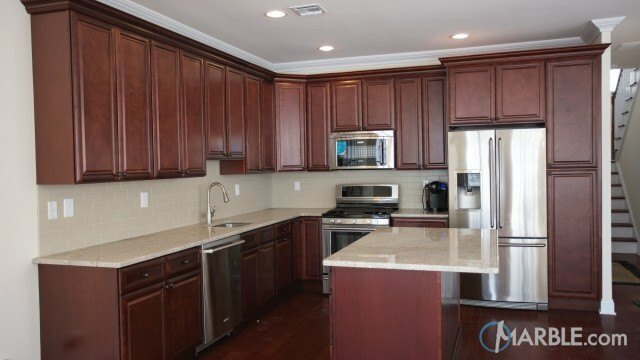 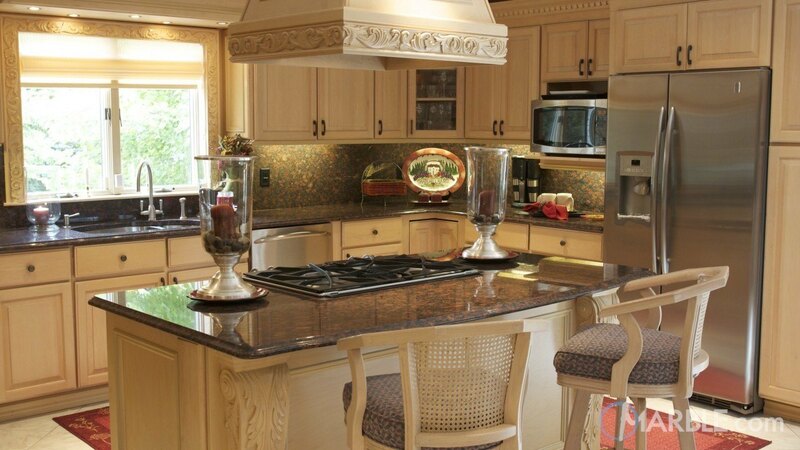 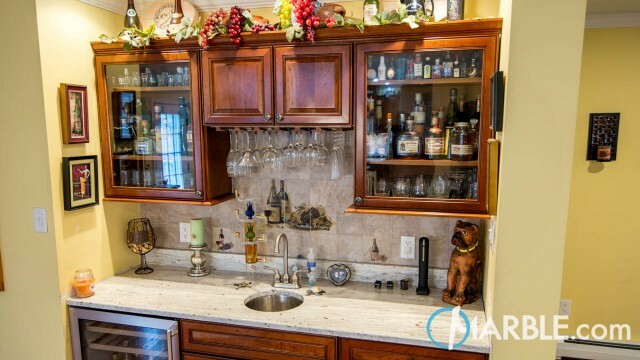 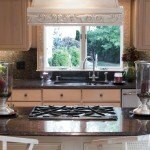 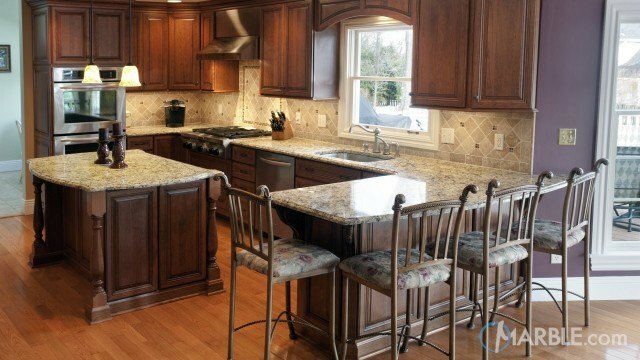 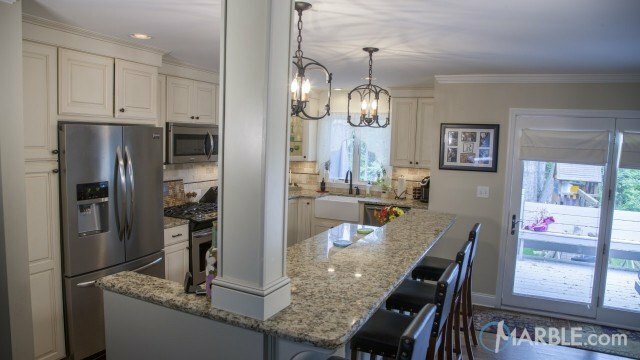 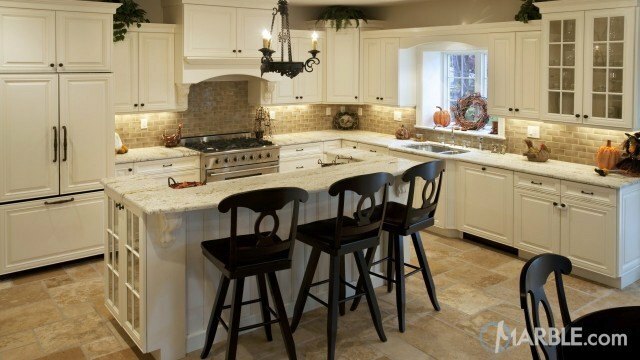 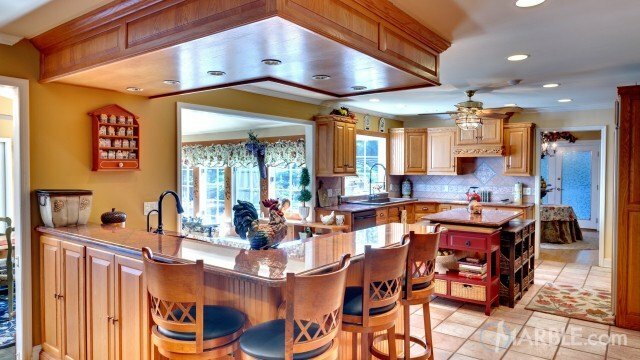 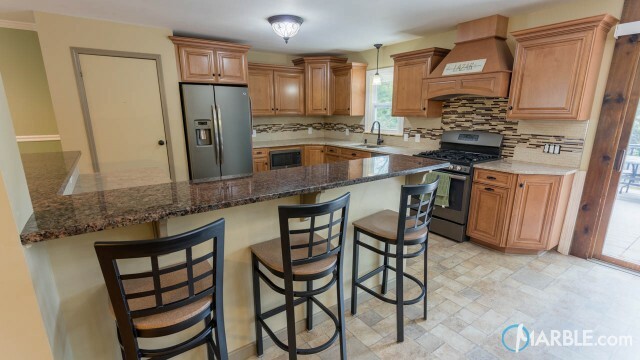 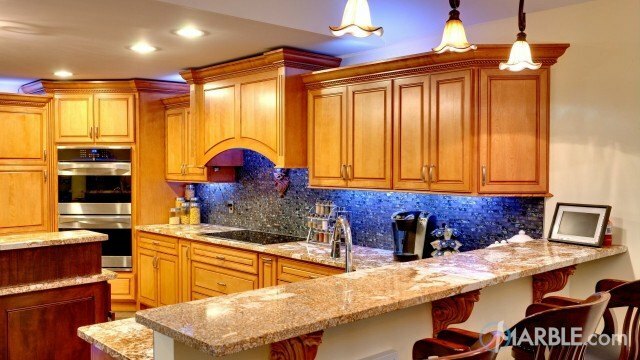 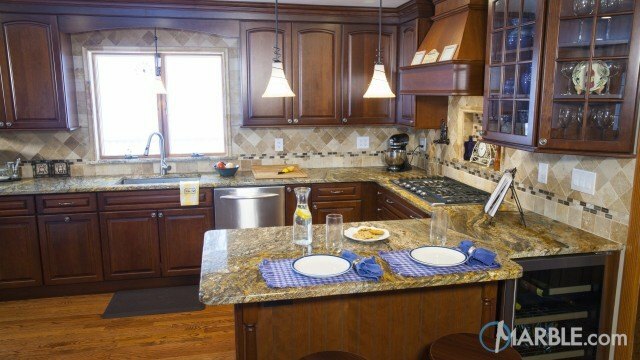 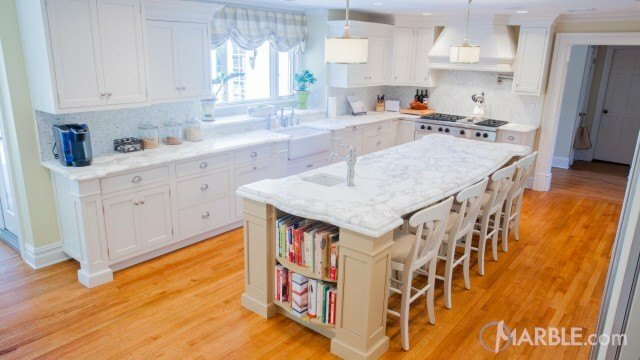 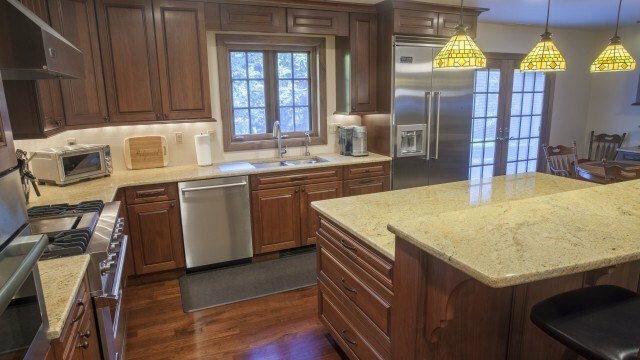 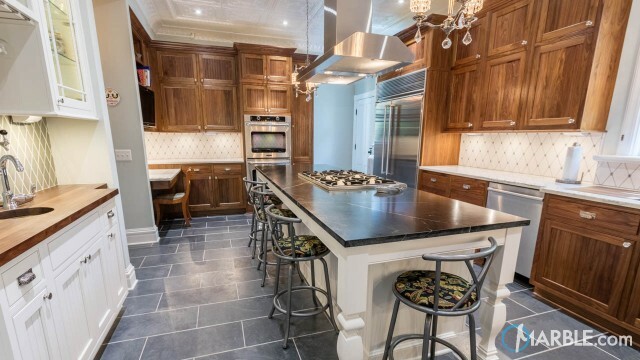 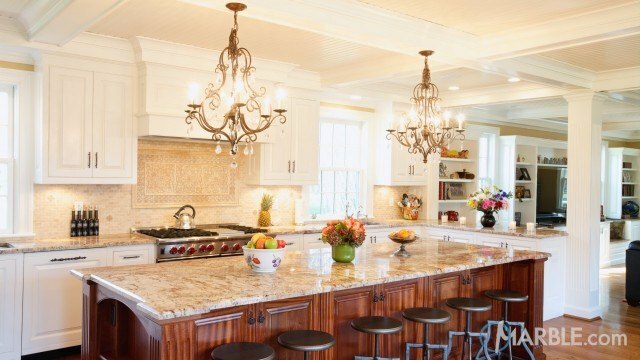 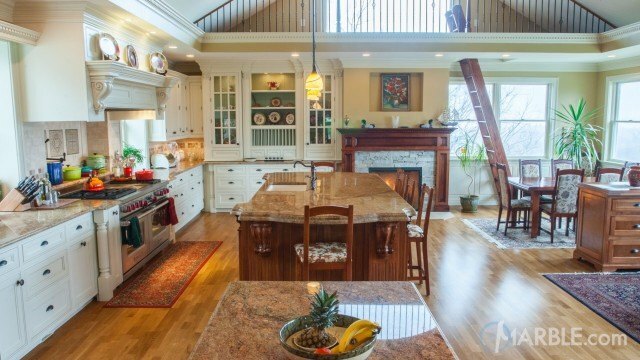 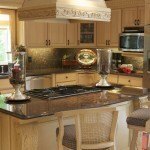 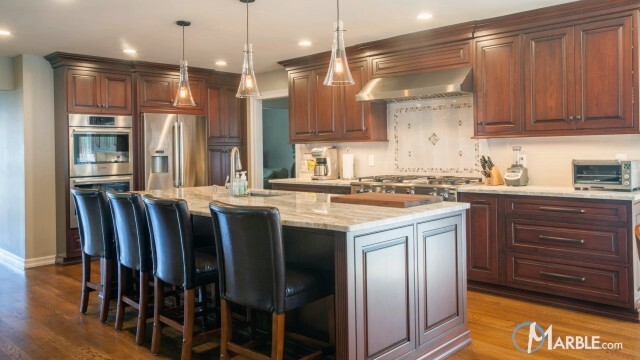 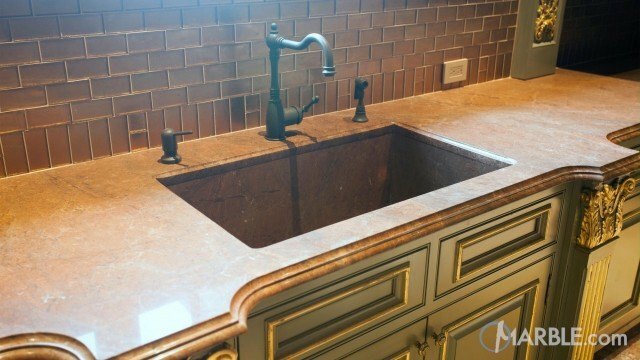 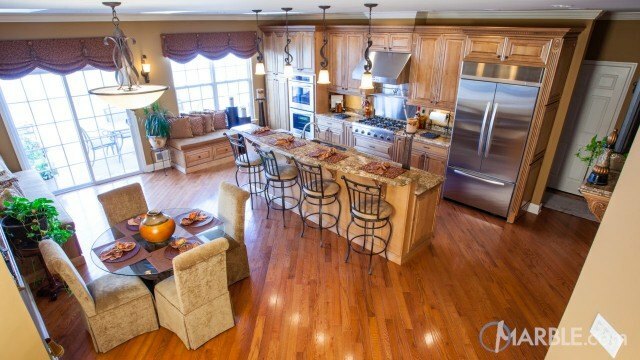 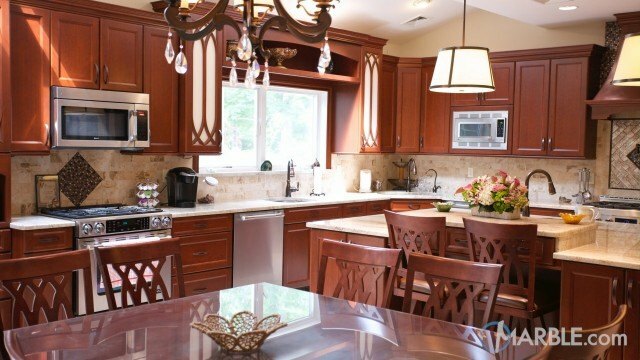 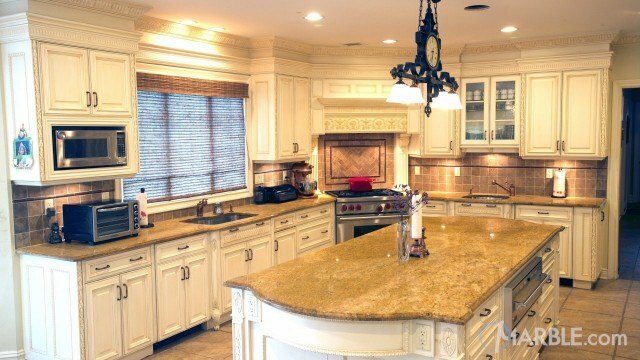 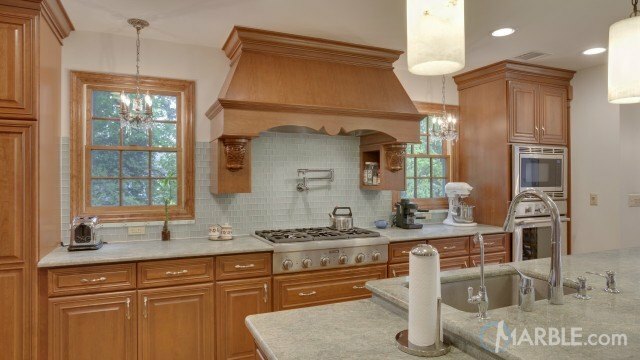 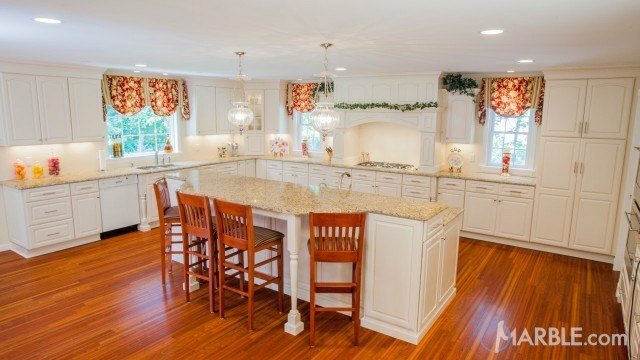 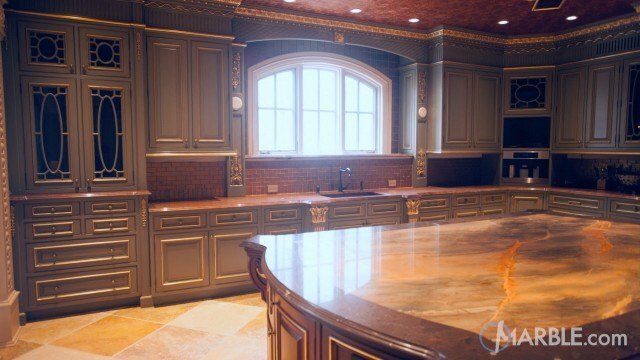 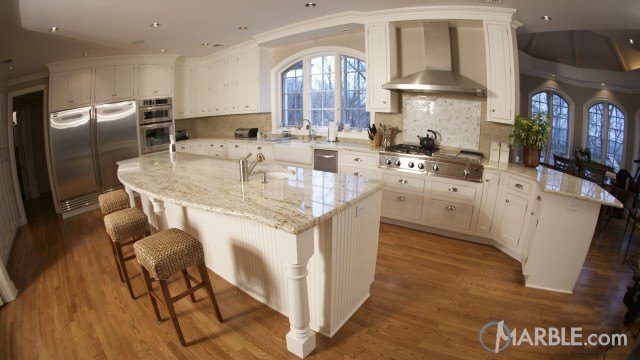 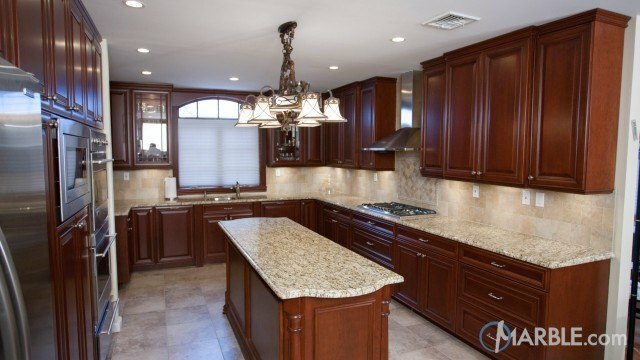 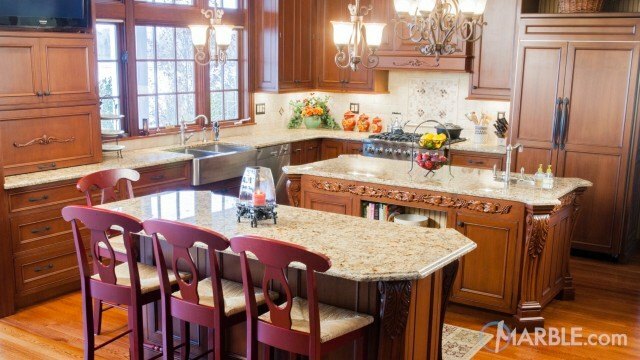 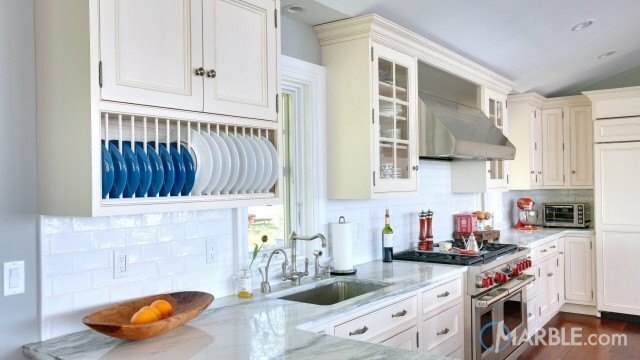 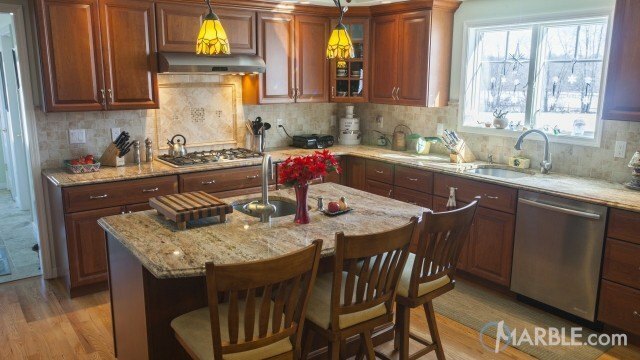 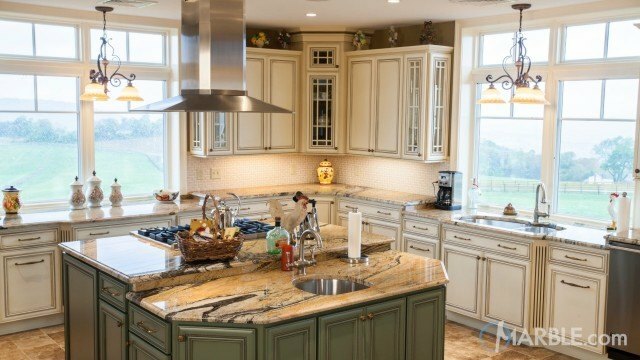 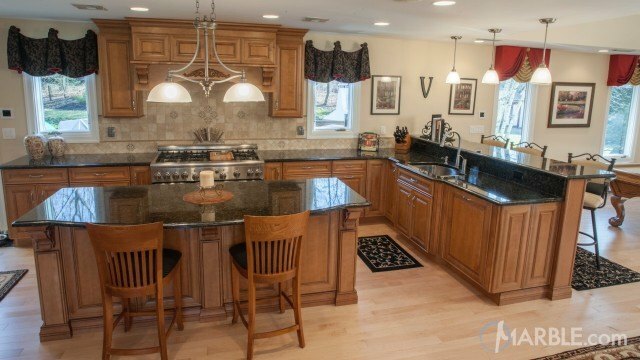 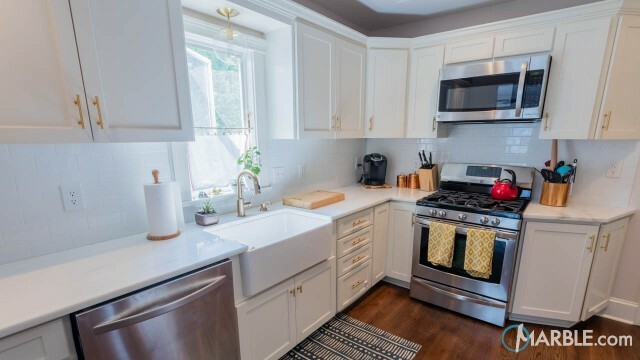 Ornamental molding surrounds the cabinetry and adds a touch of elegance to this traditional kitchen.